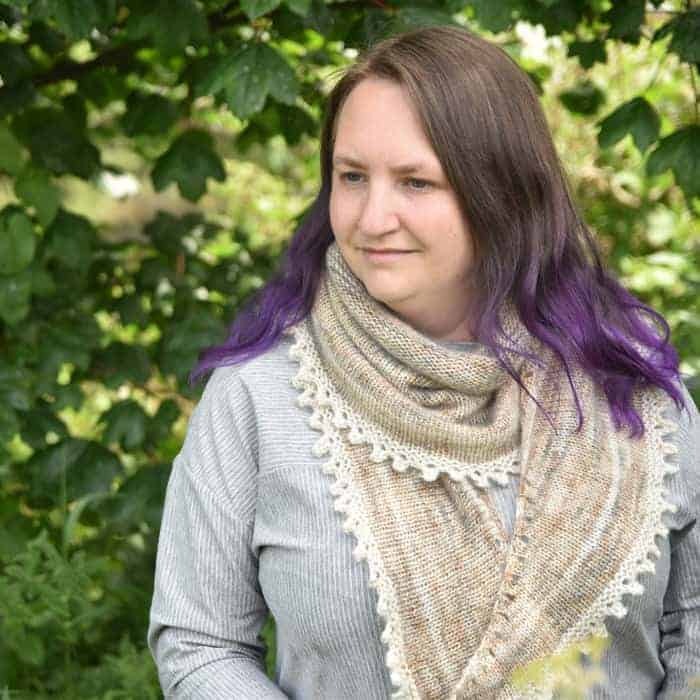 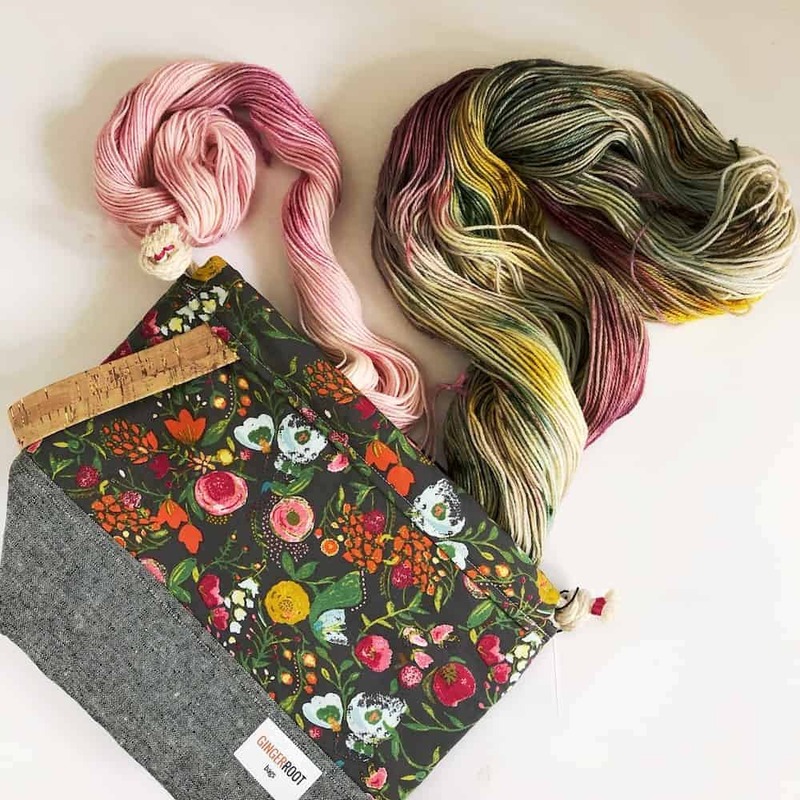 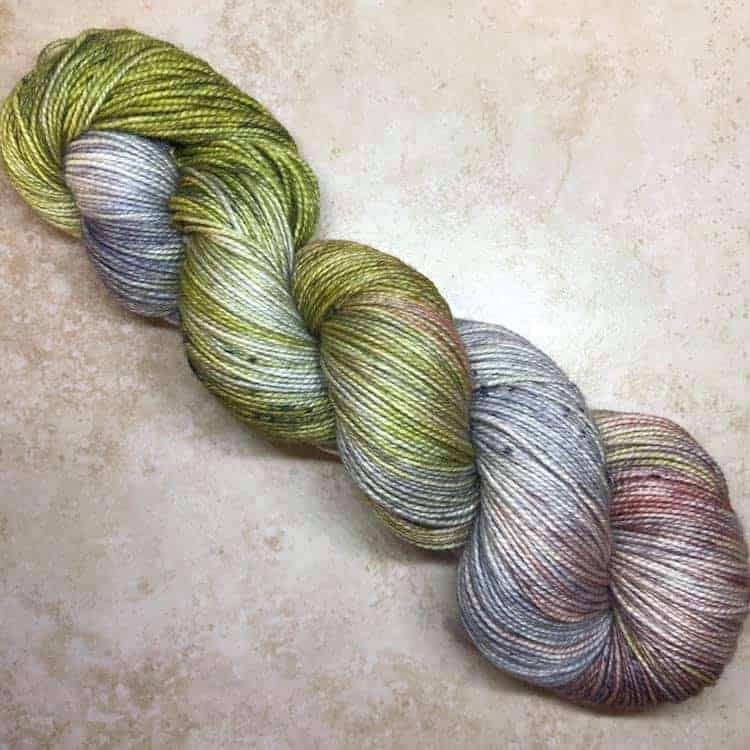 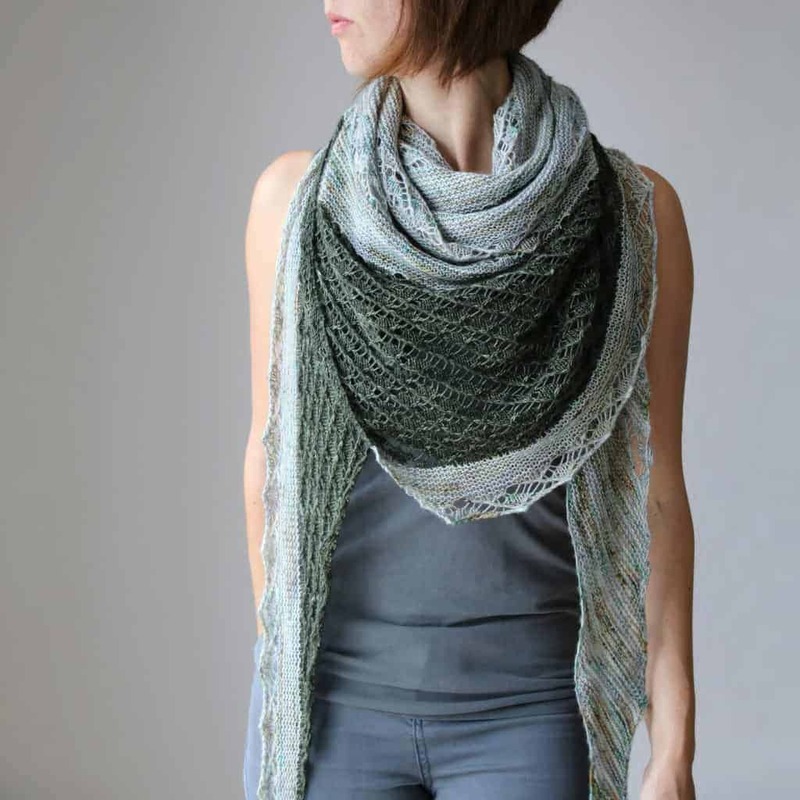 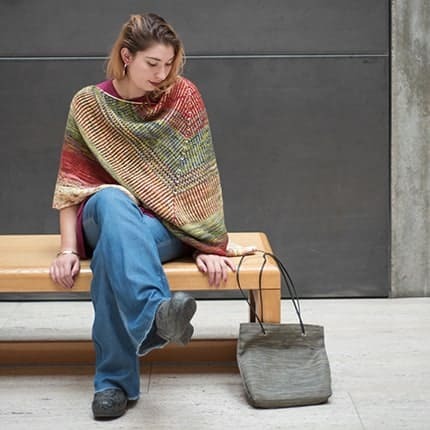 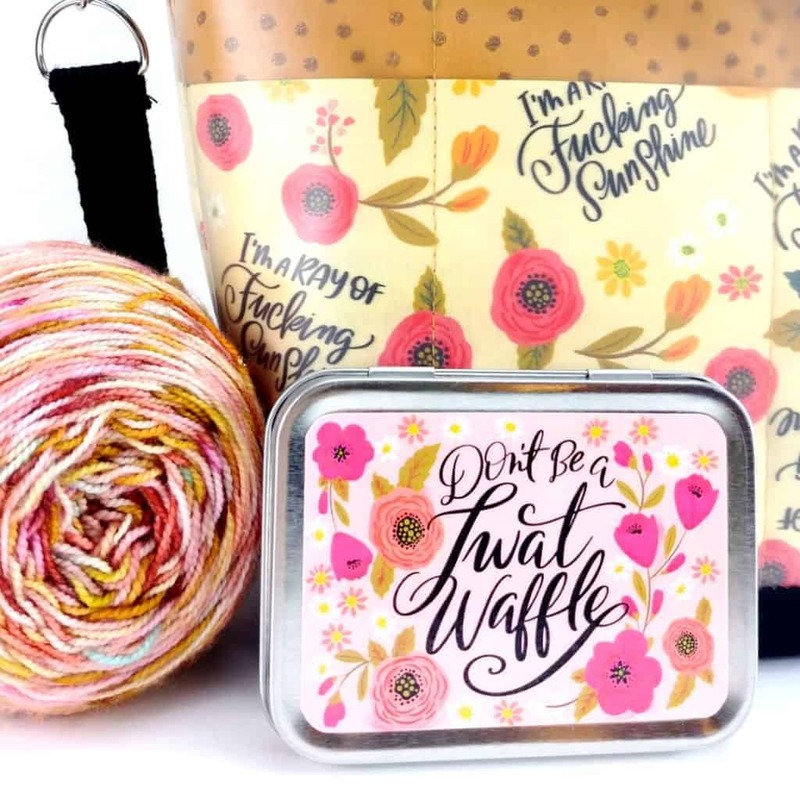 Liz of HighFiberArtz is welcoming the warm(er) weather with her spring collection. 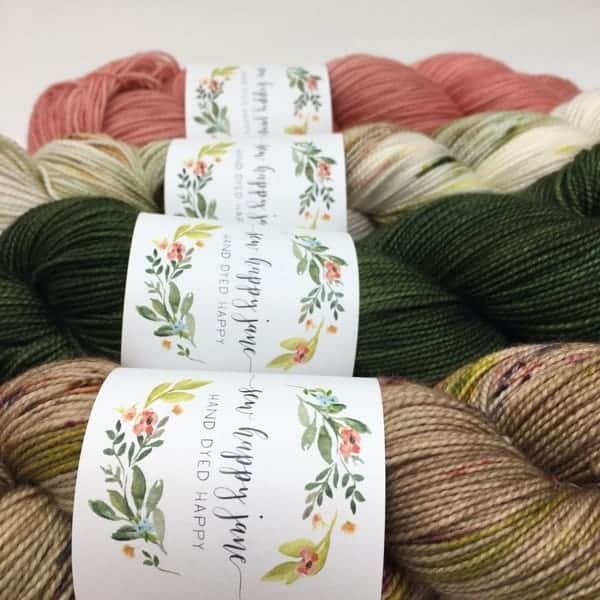 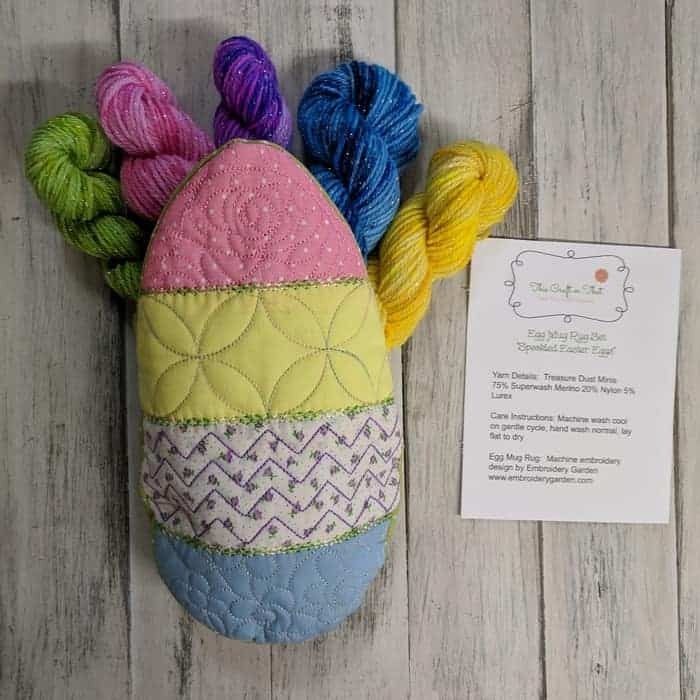 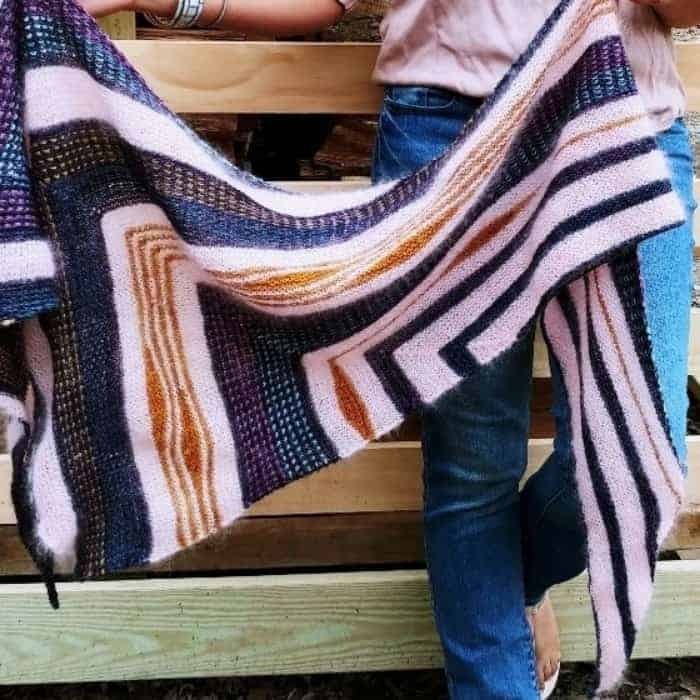 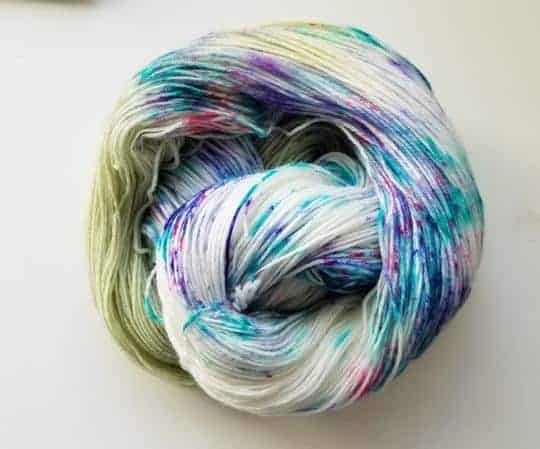 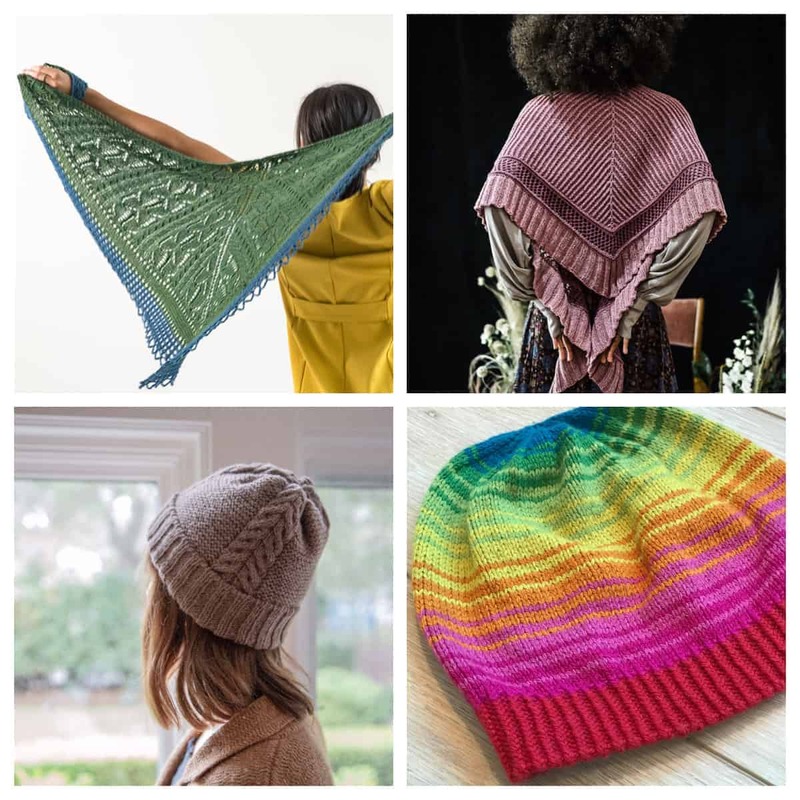 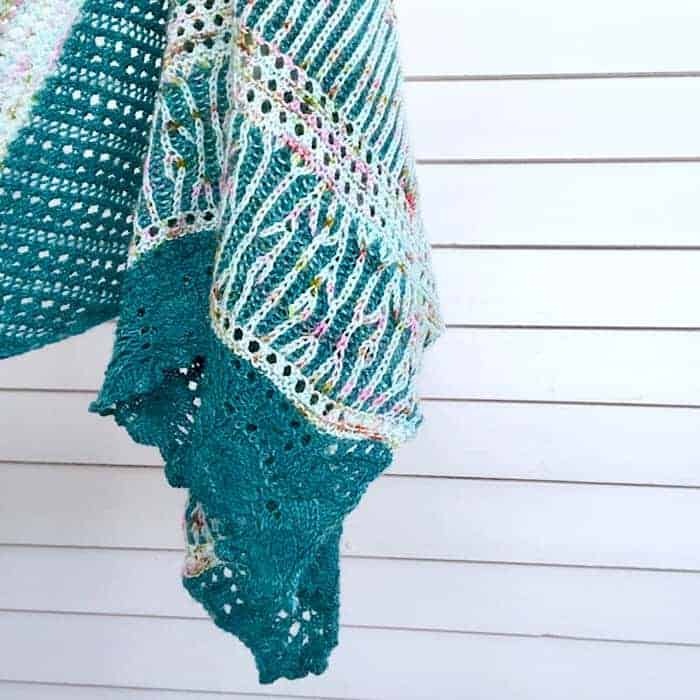 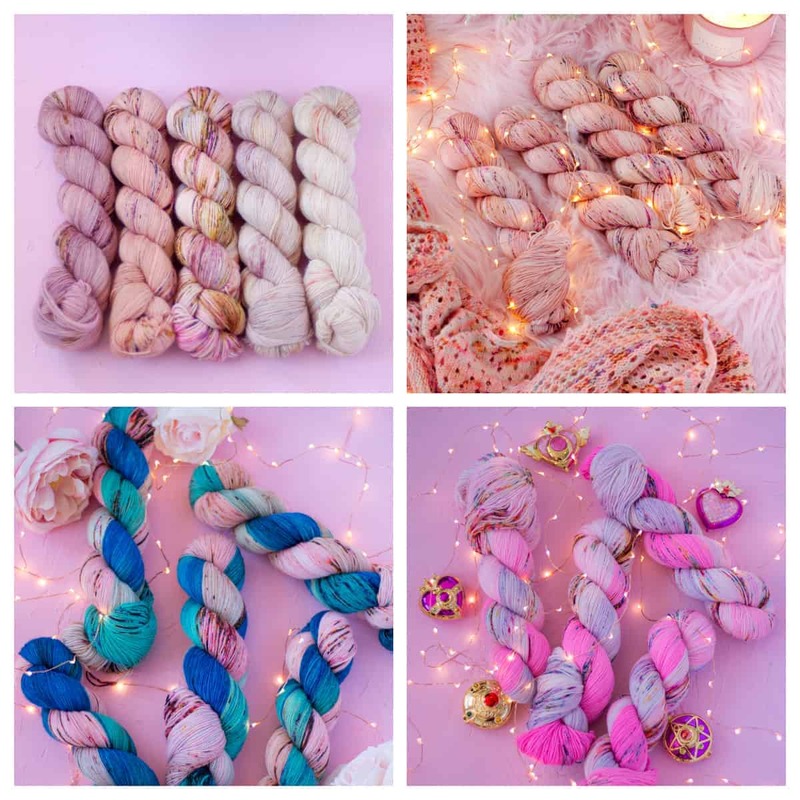 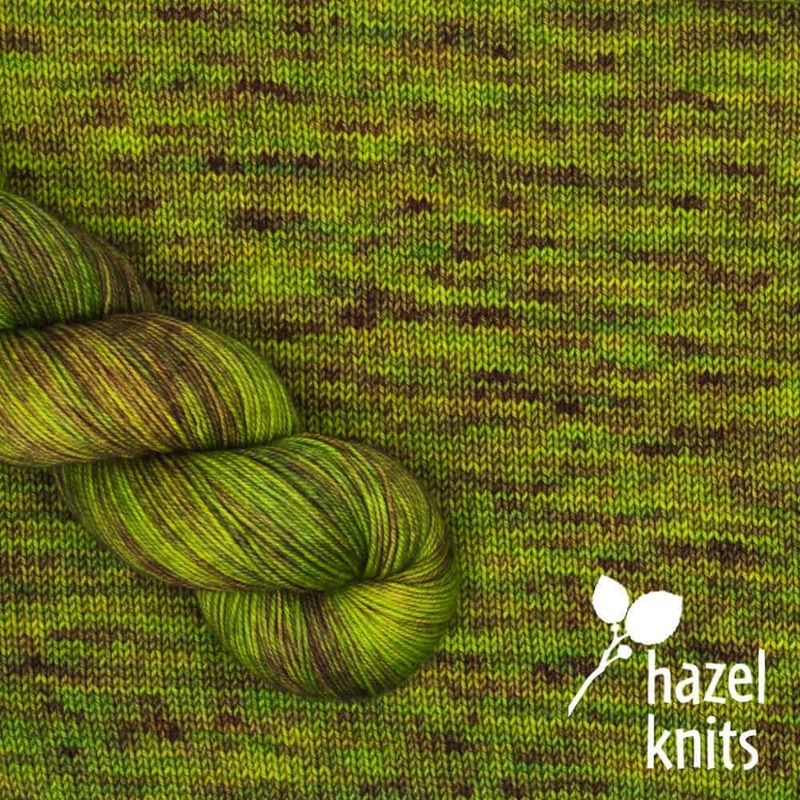 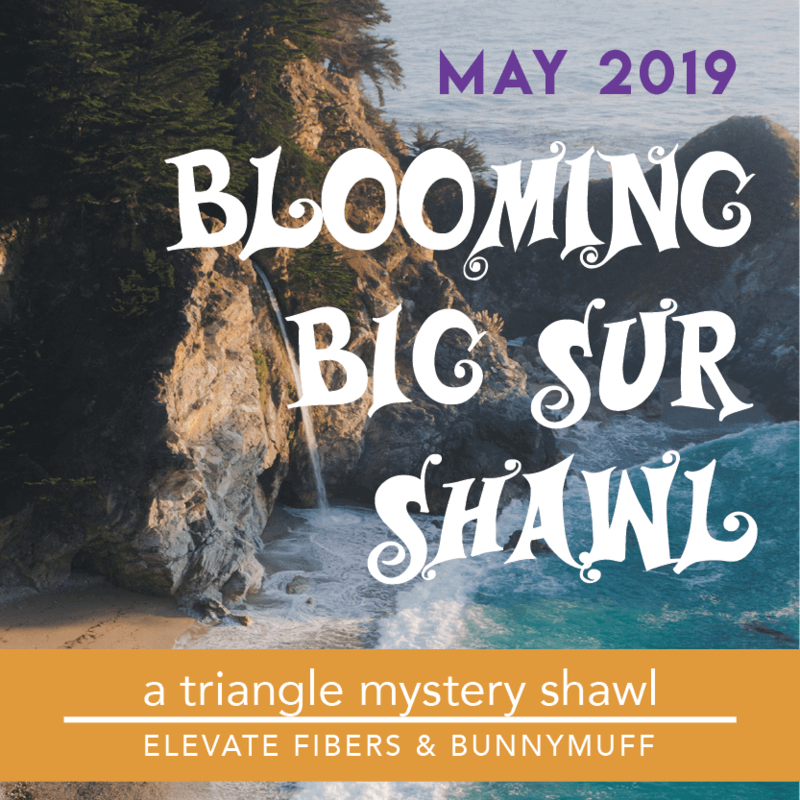 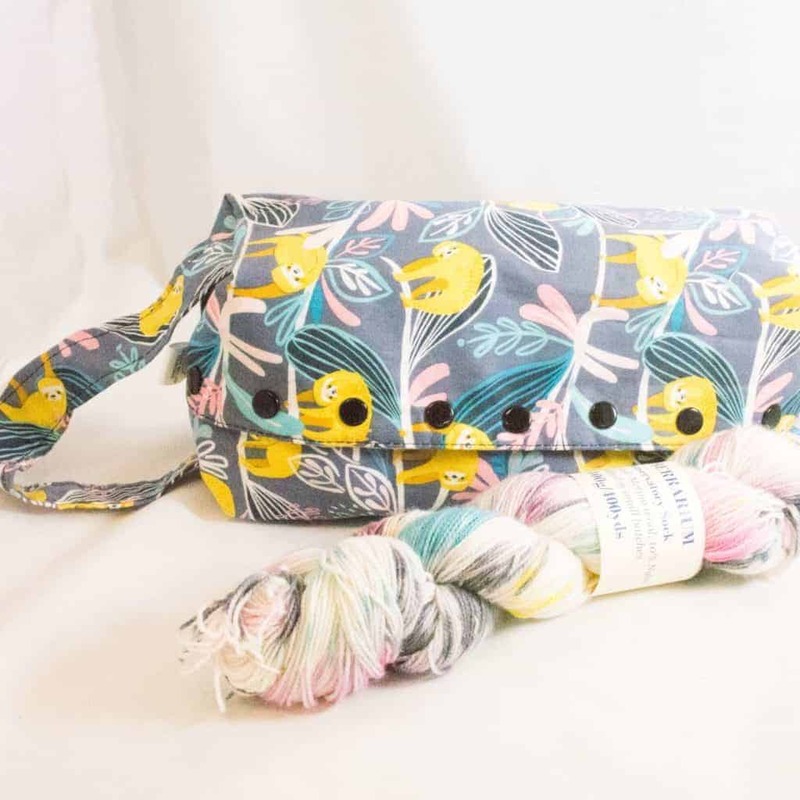 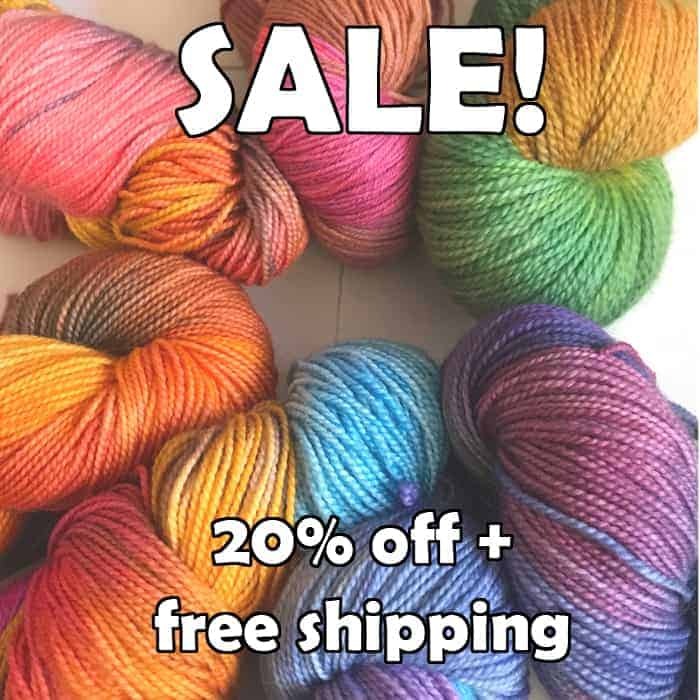 It features super bright colorways, a self-striping yarn called Bunny Hop and double knit (two-at-a-time) sock blanks that look like an Easter egg. 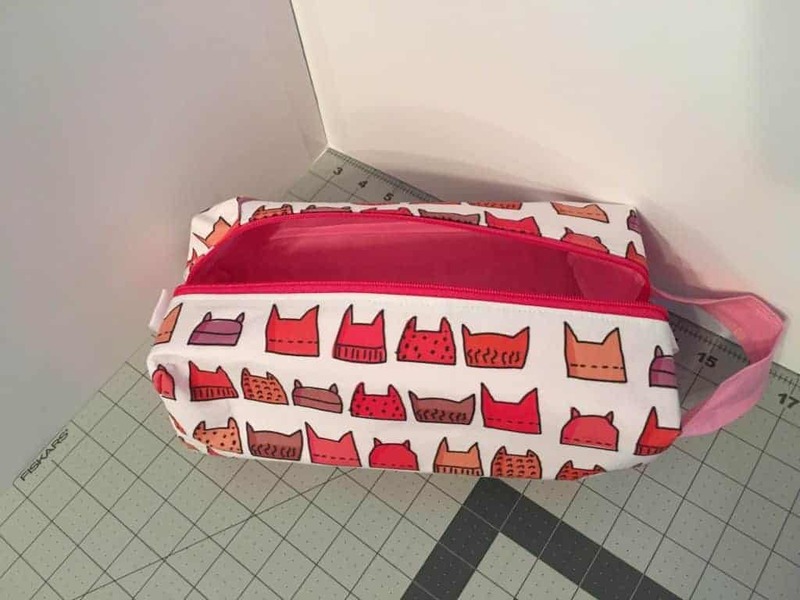 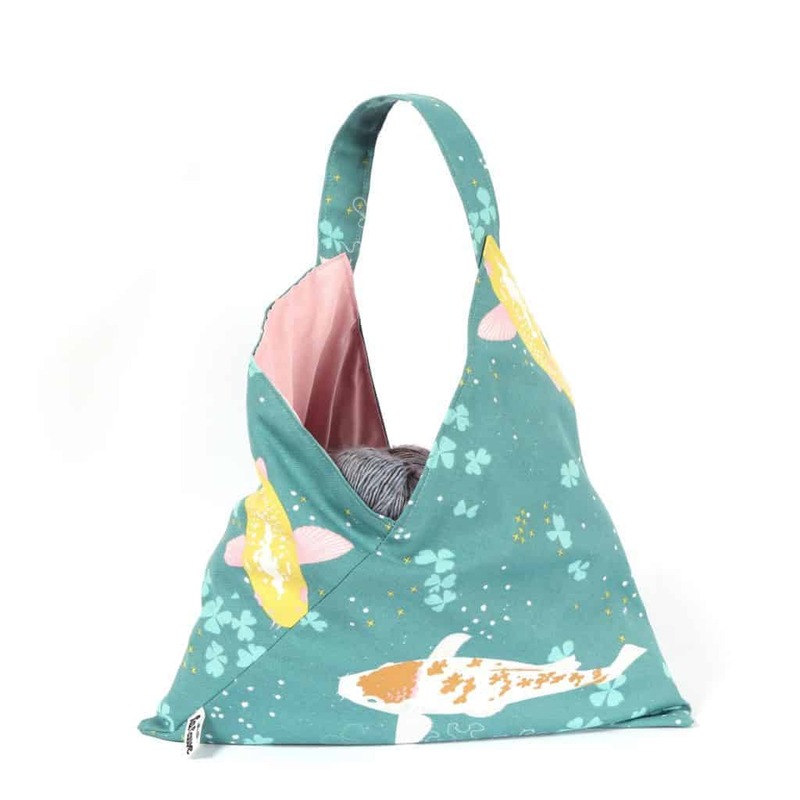 Slipped Stitch Studios is having a cat and dog lovers shop update today at 9 a.m. Pacific. 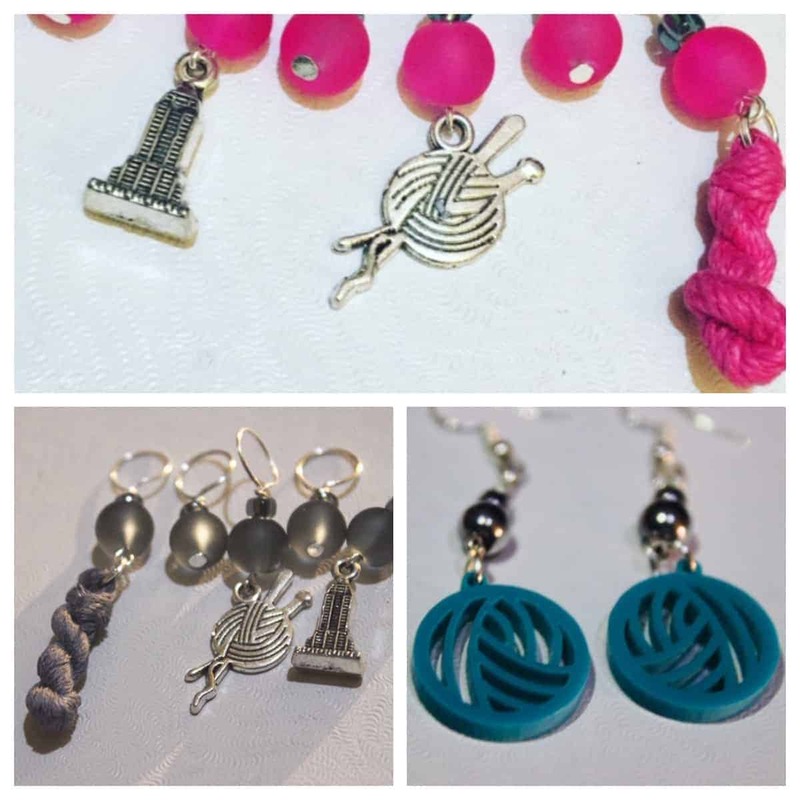 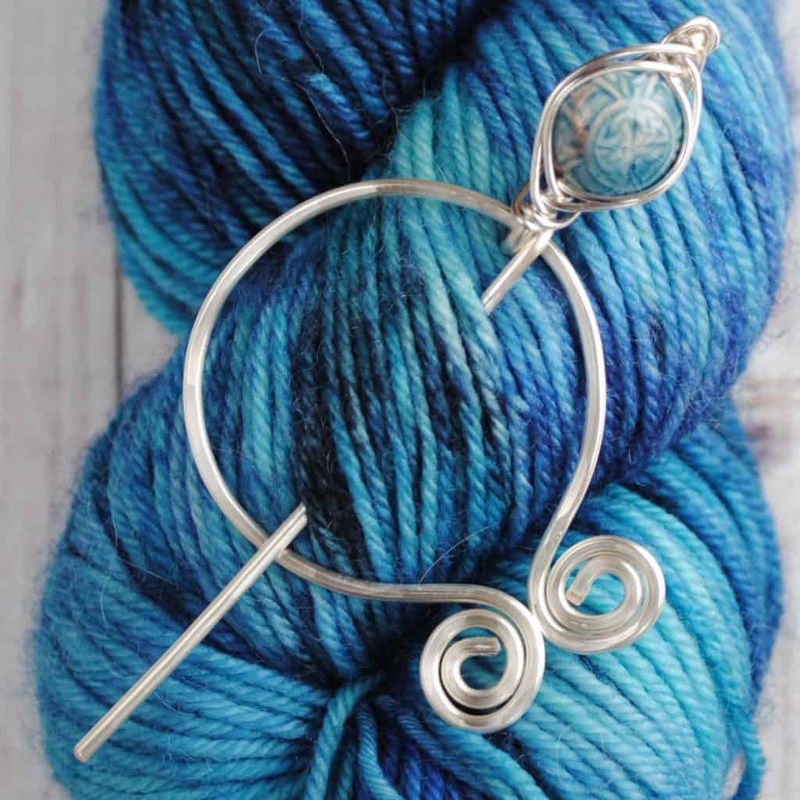 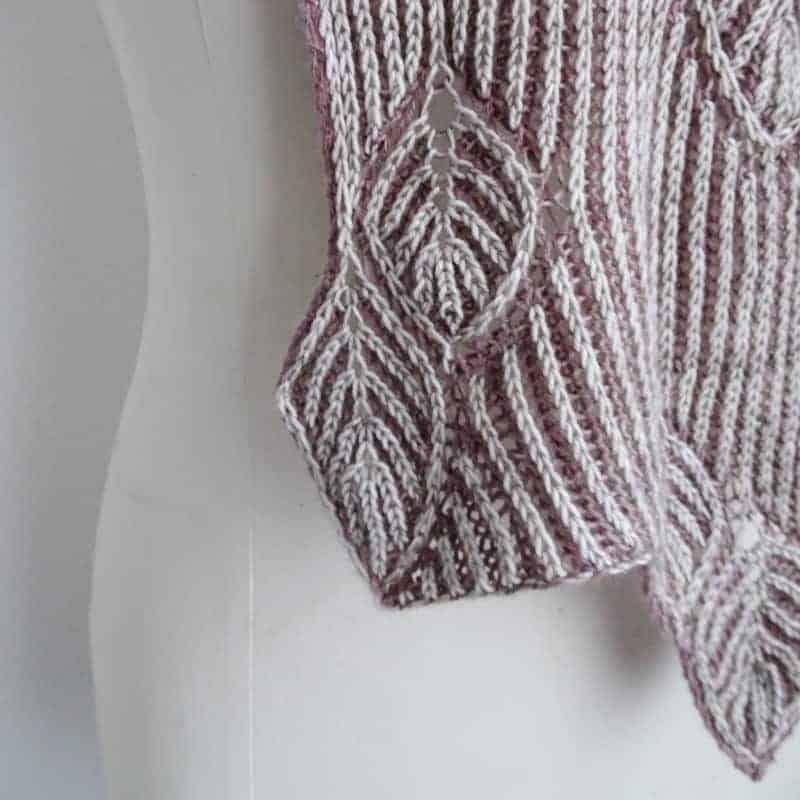 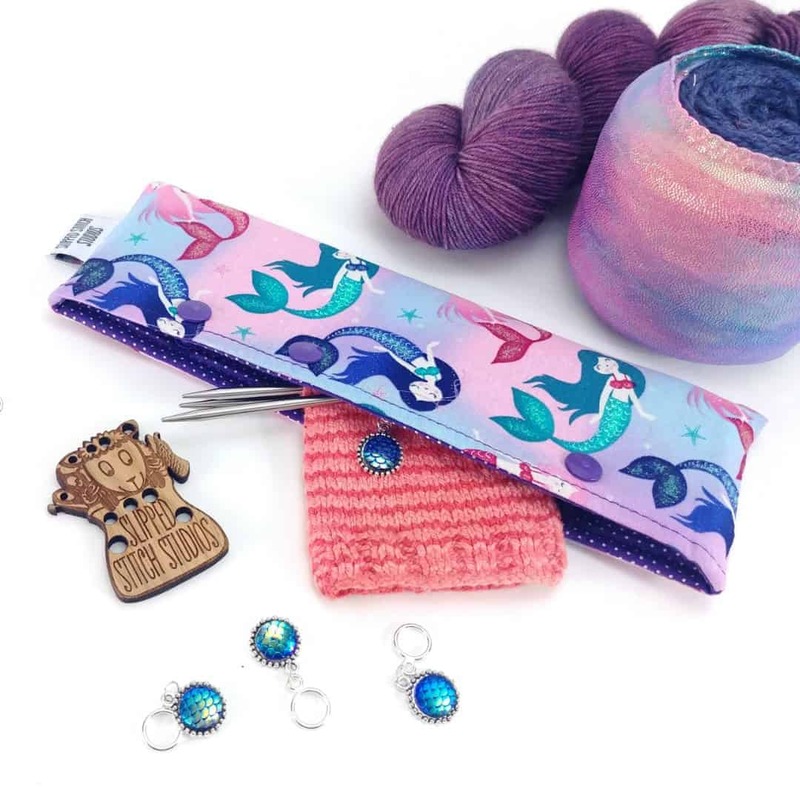 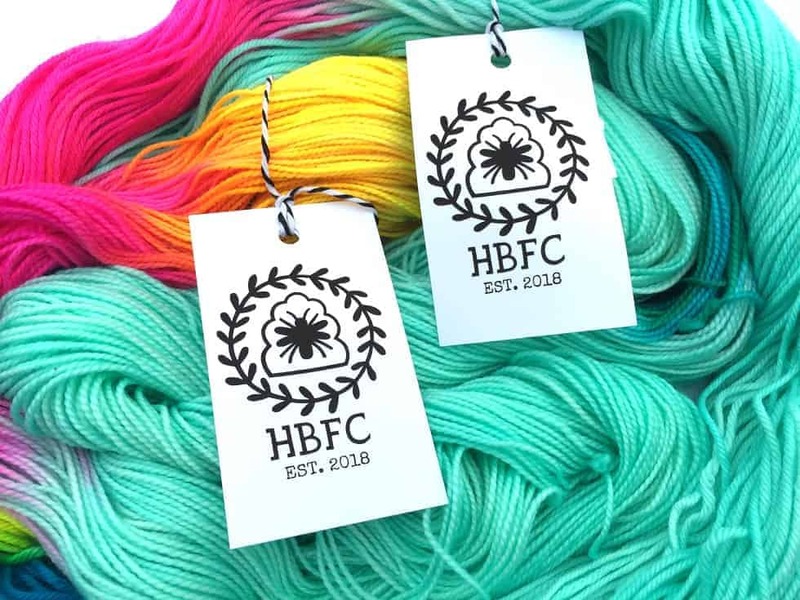 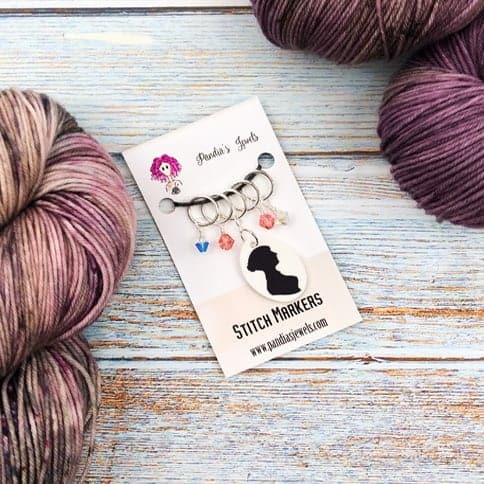 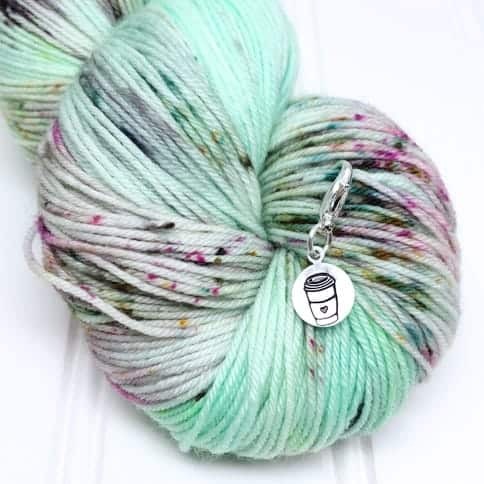 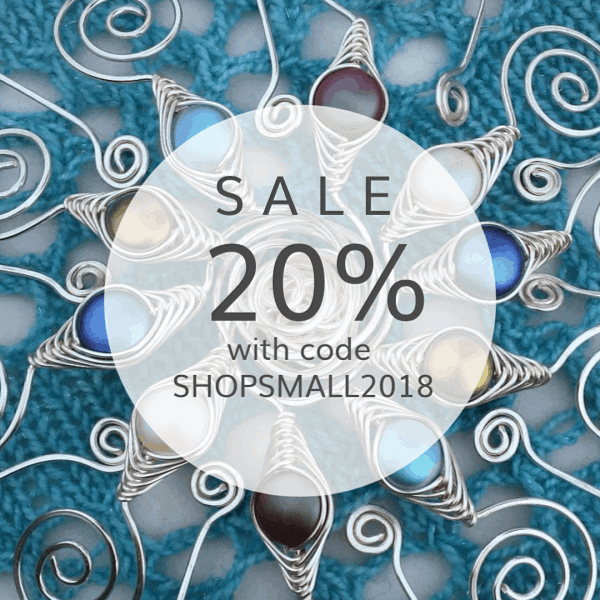 Michelle of Crafty Flutterby Creations has new penannular shawl pins, a traditional design that features the pin attached to the decorative part, so you never lose it. 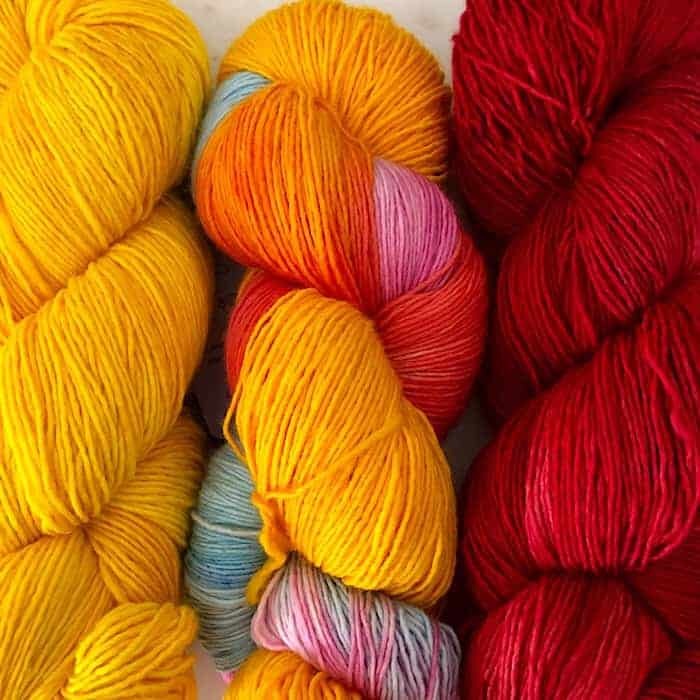 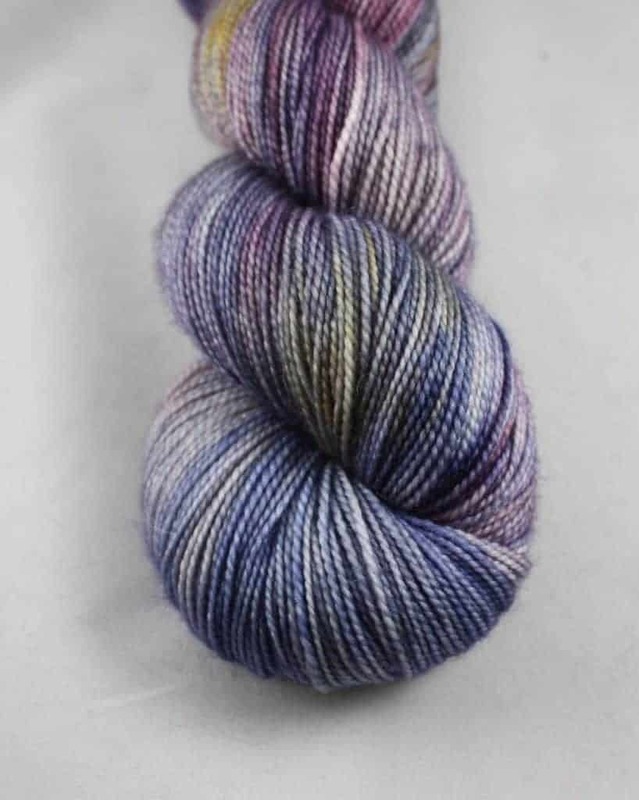 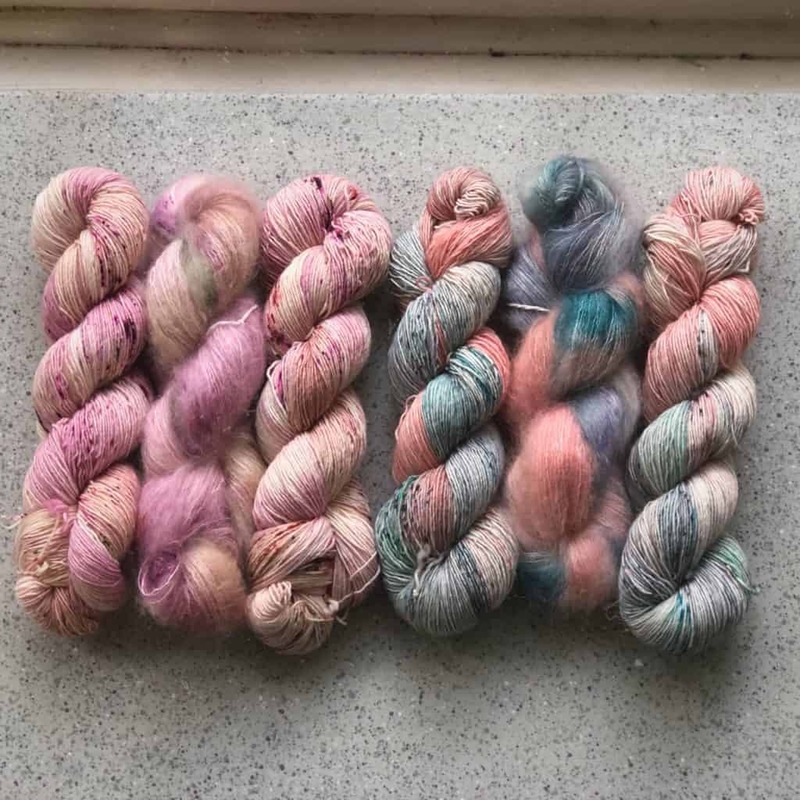 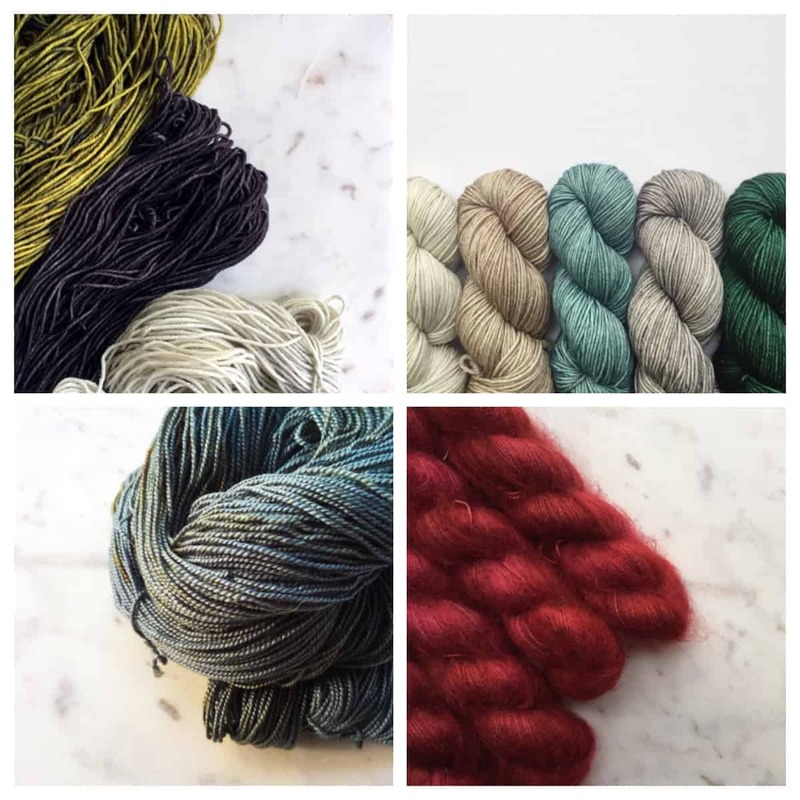 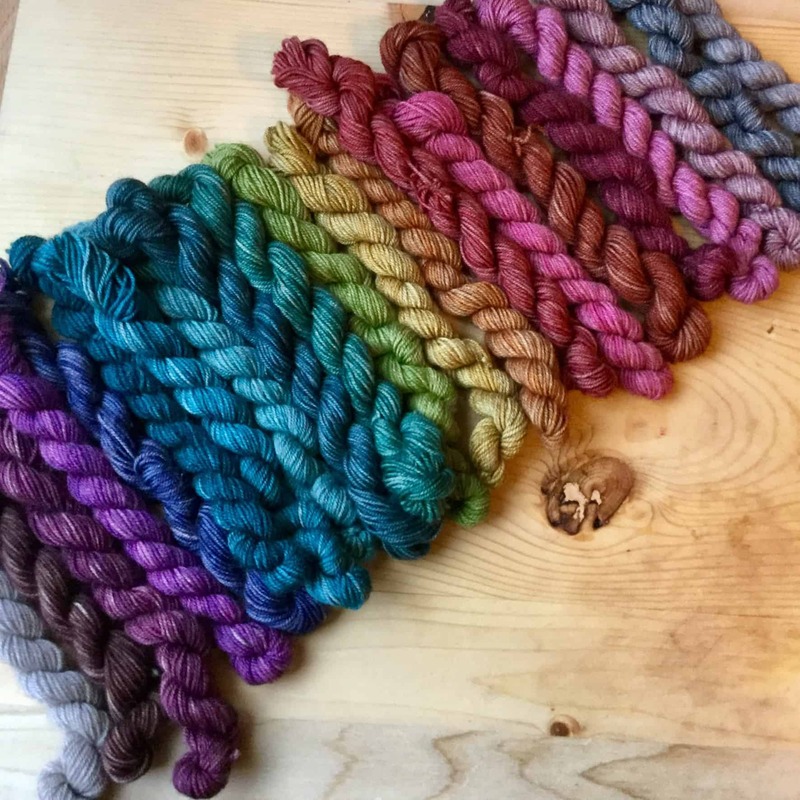 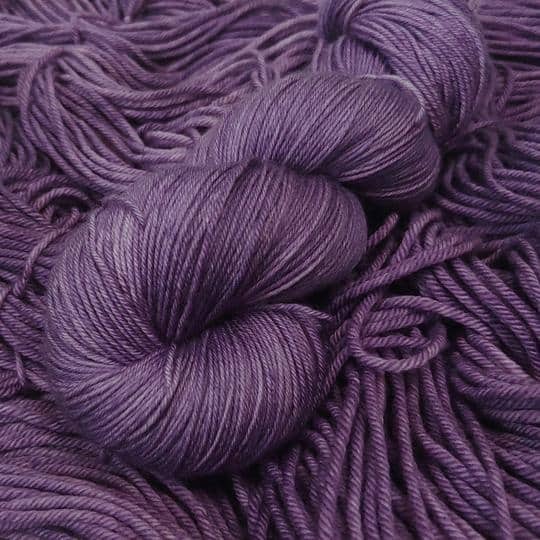 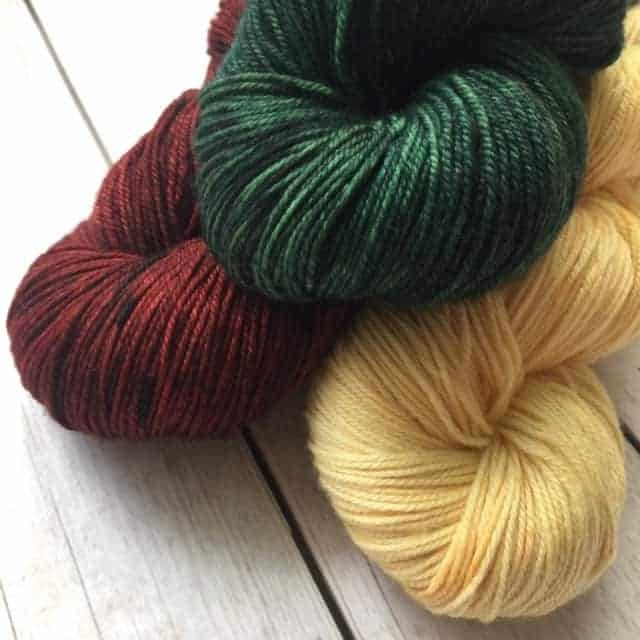 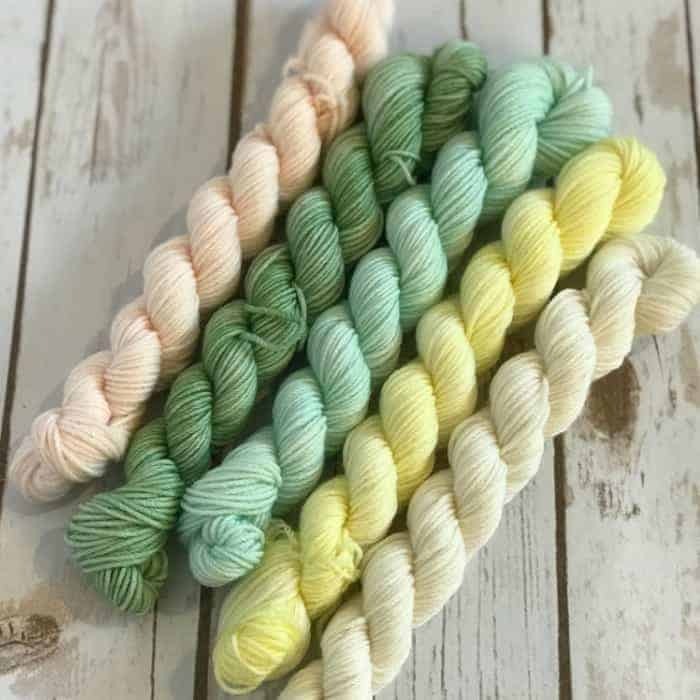 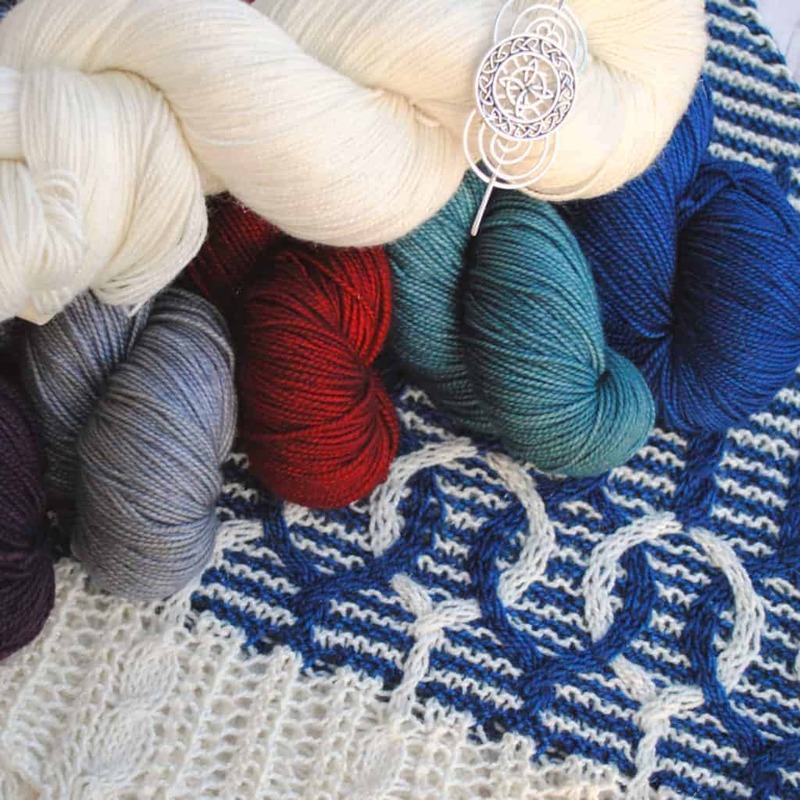 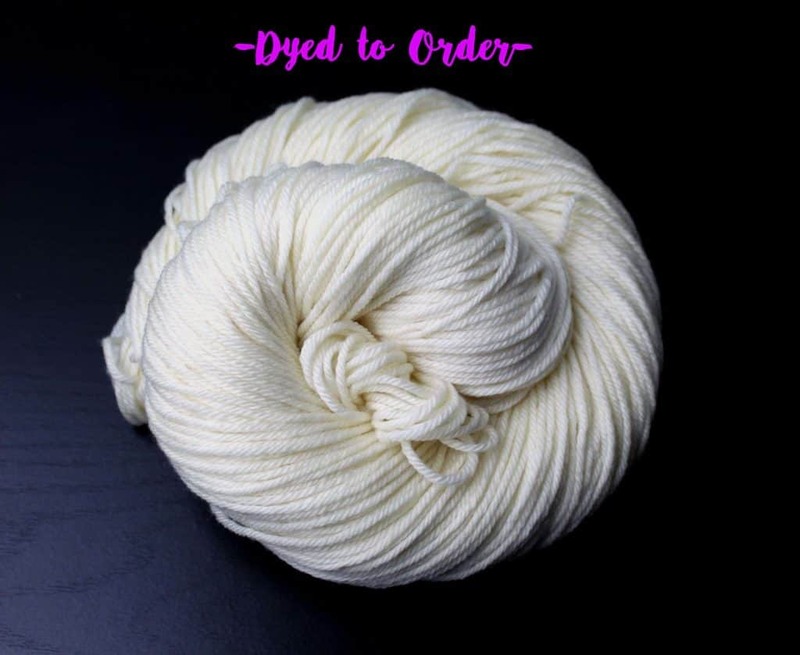 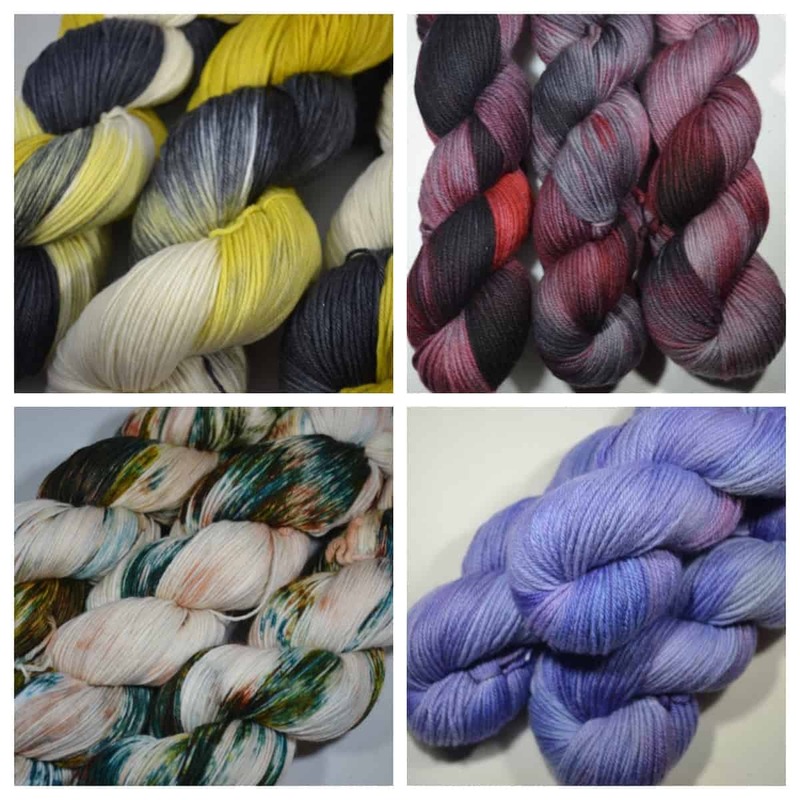 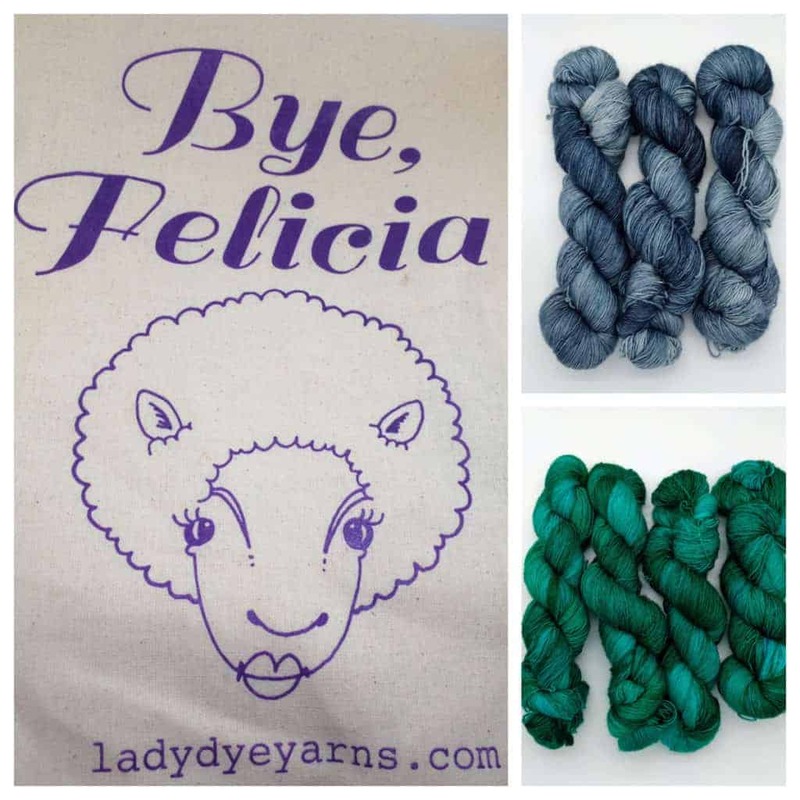 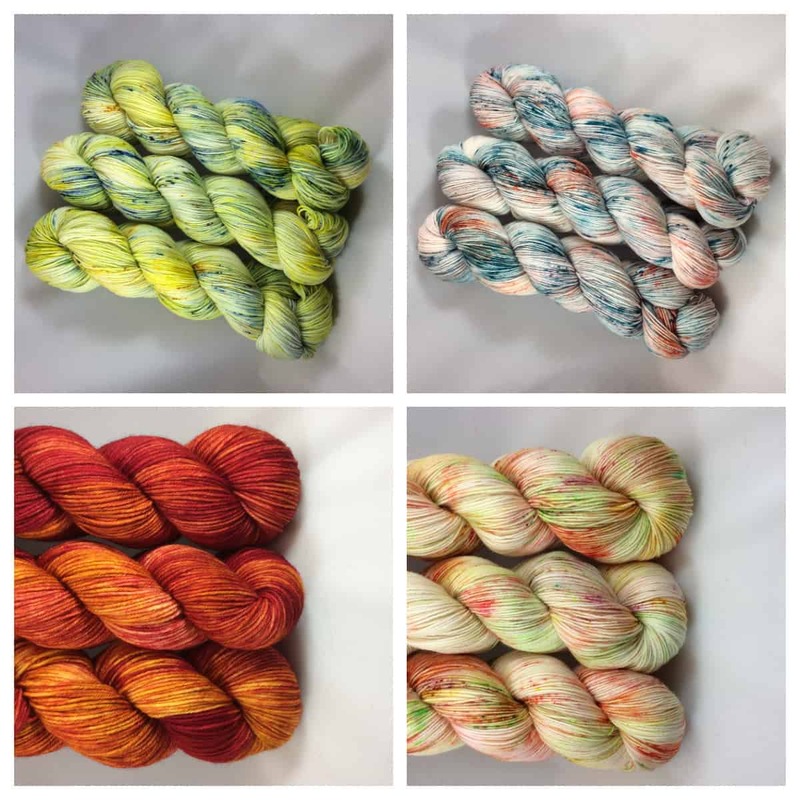 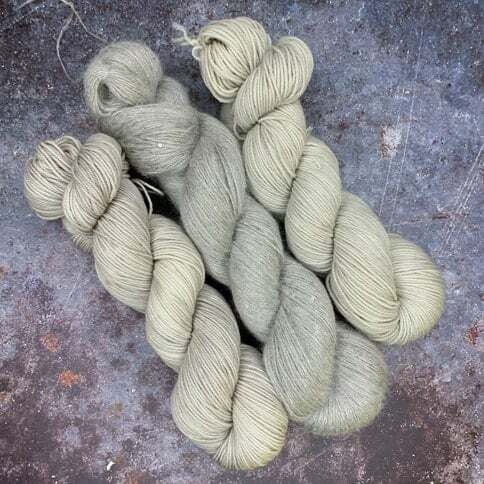 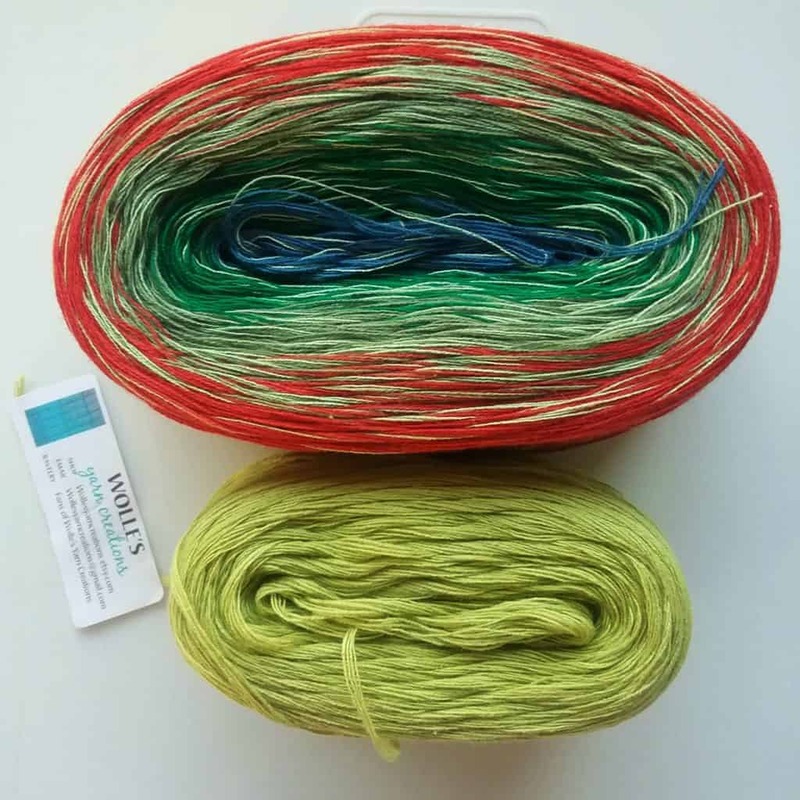 Lambstrings Yarn now has a dyed to order option, so you can get the colorways you want, whenever you “need” them. 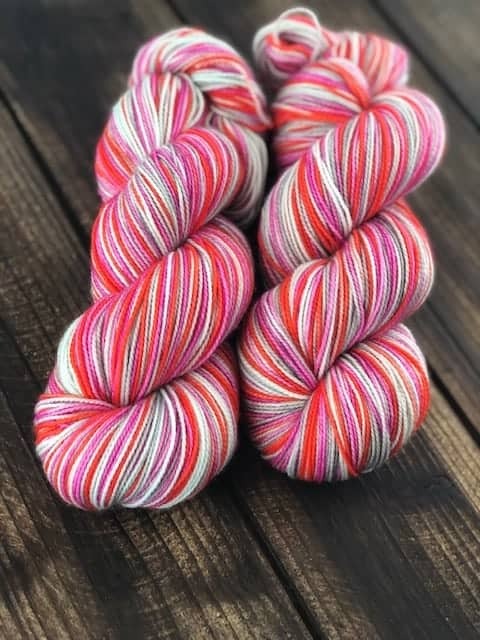 Pancake and Lulu just had a mini update. 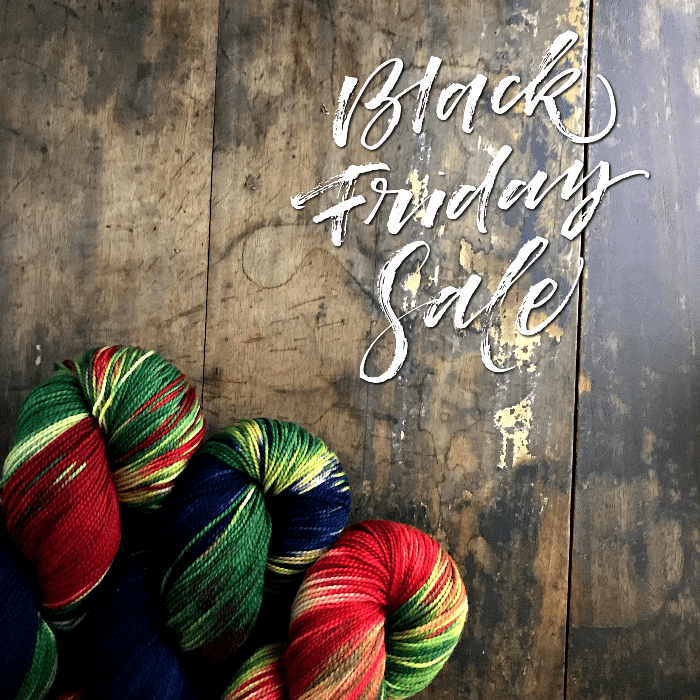 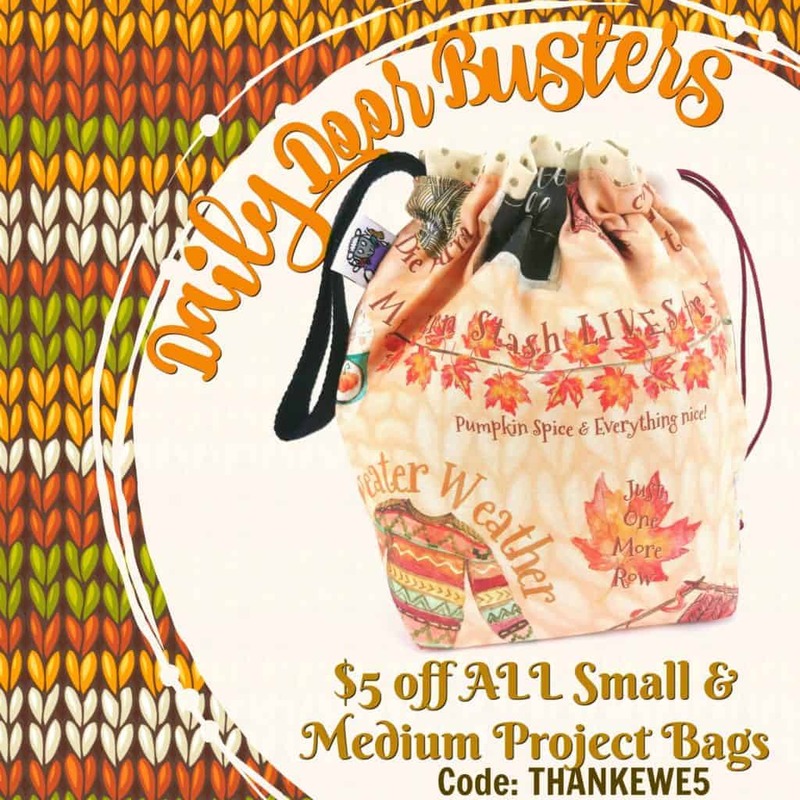 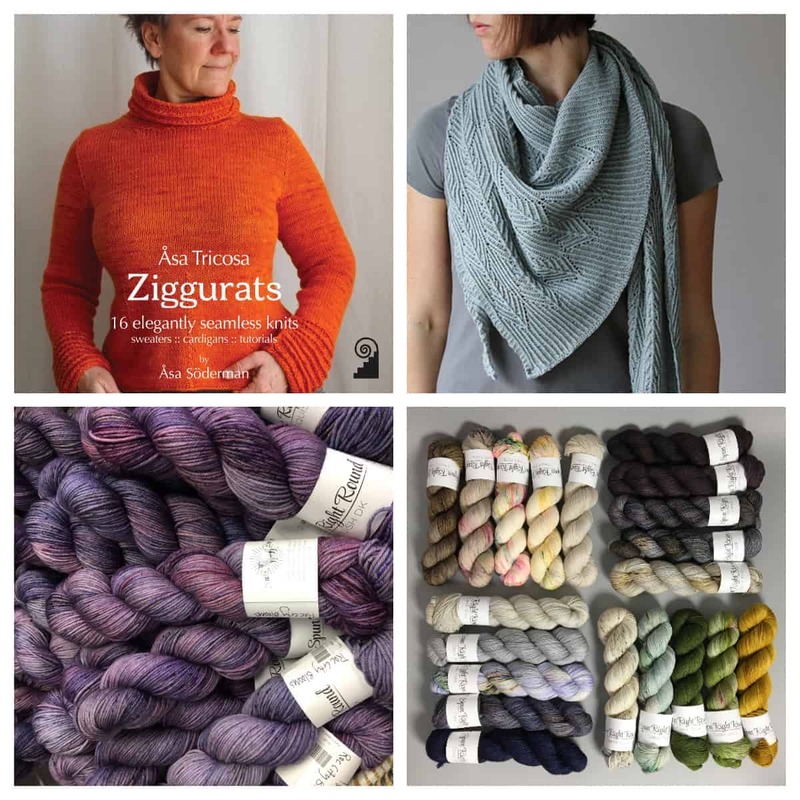 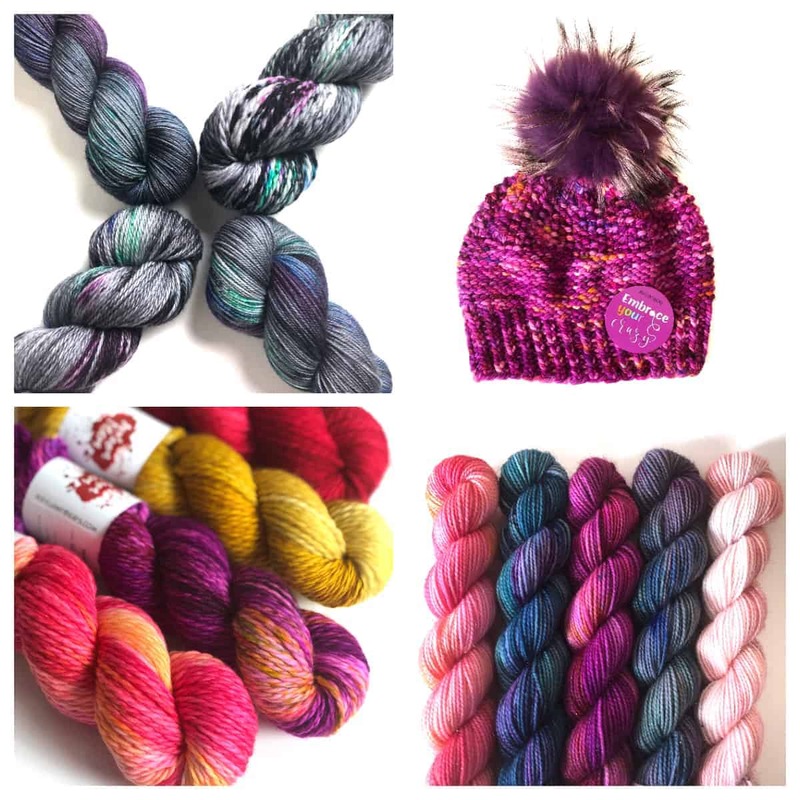 In what has become an Indie Untangled holiday tradition, I am thanking the knitters who invite me into their inboxes each week with a special holiday giveaway. 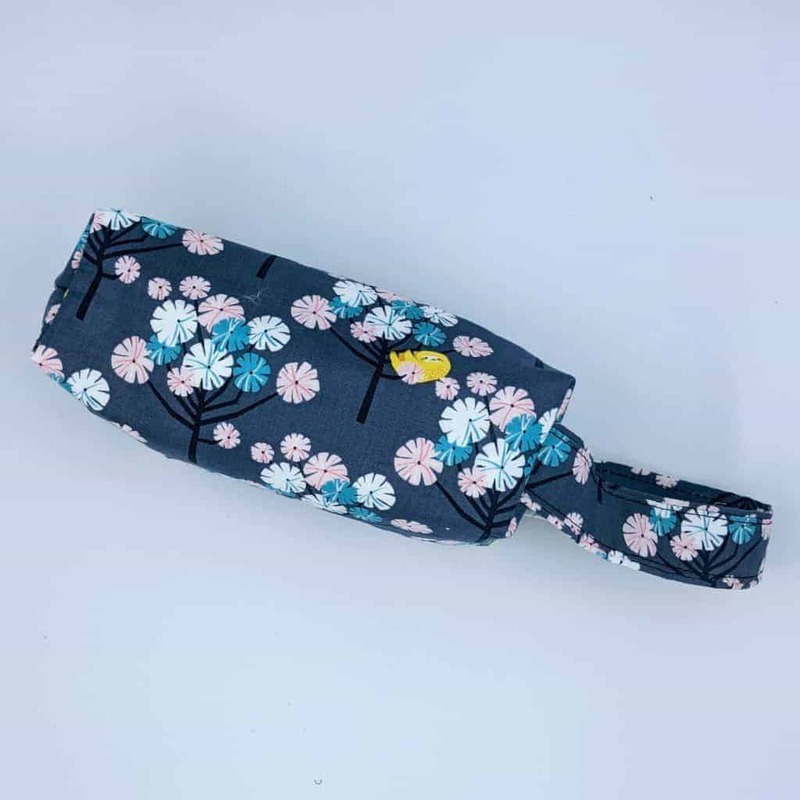 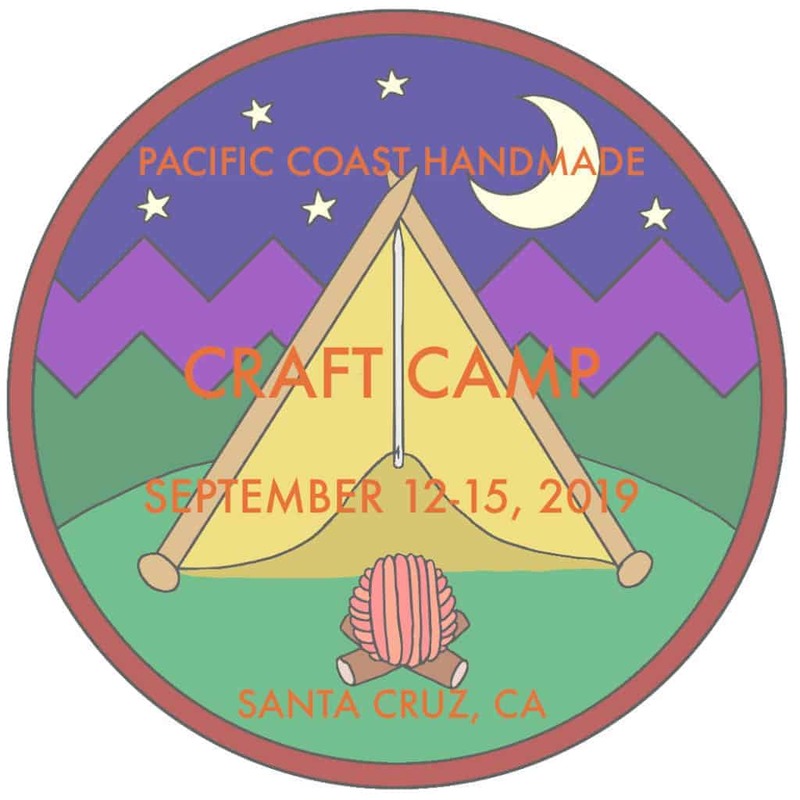 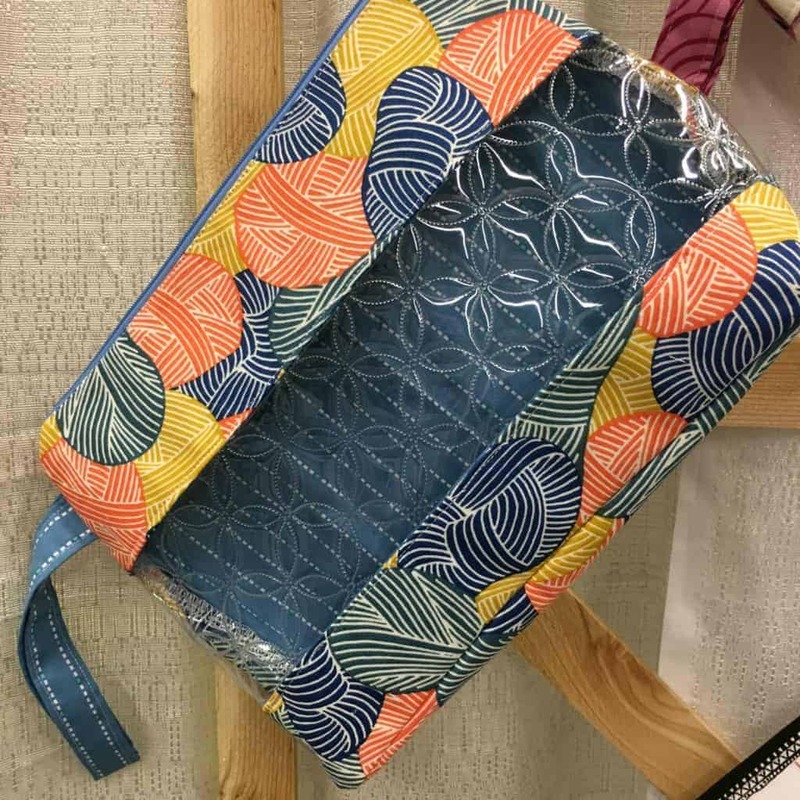 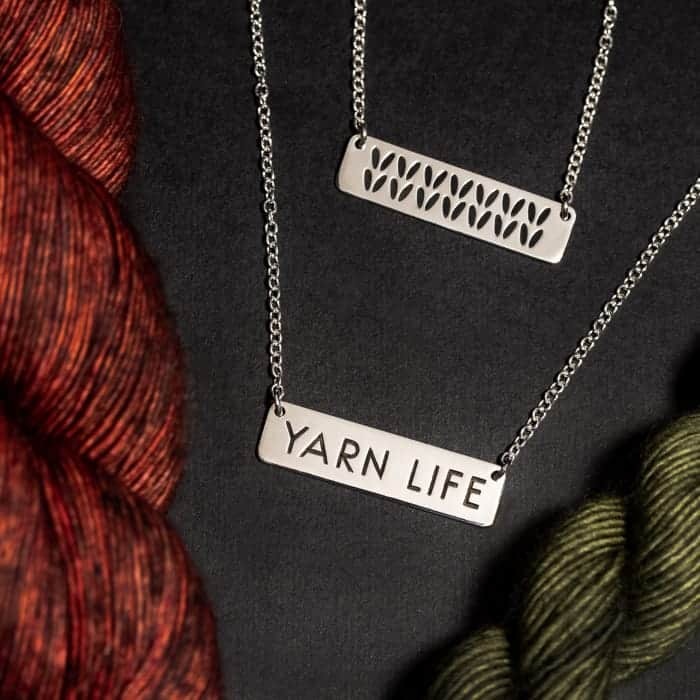 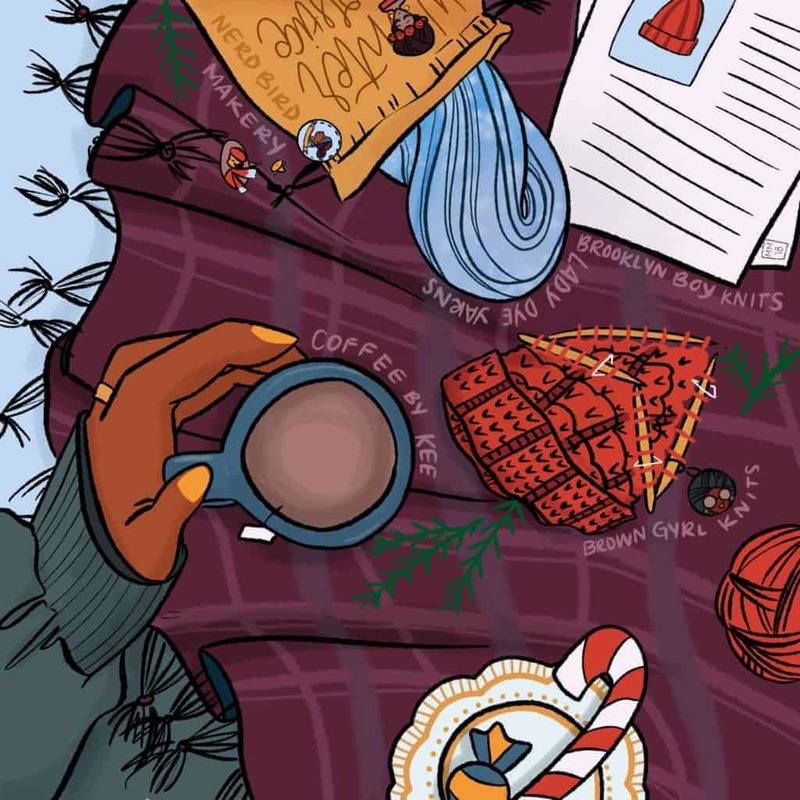 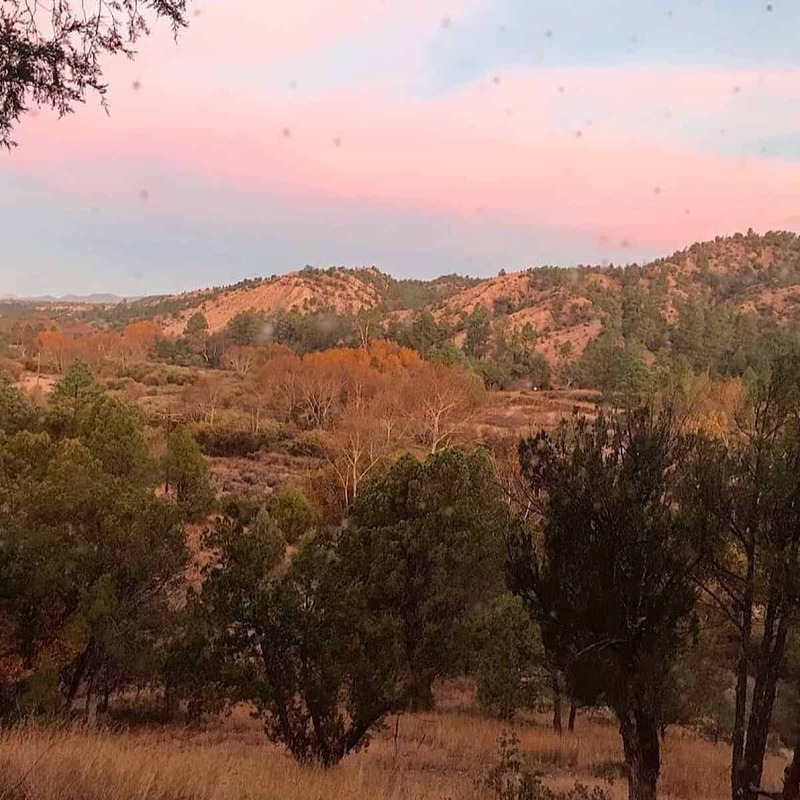 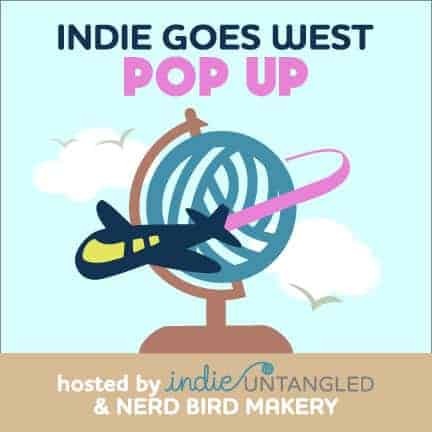 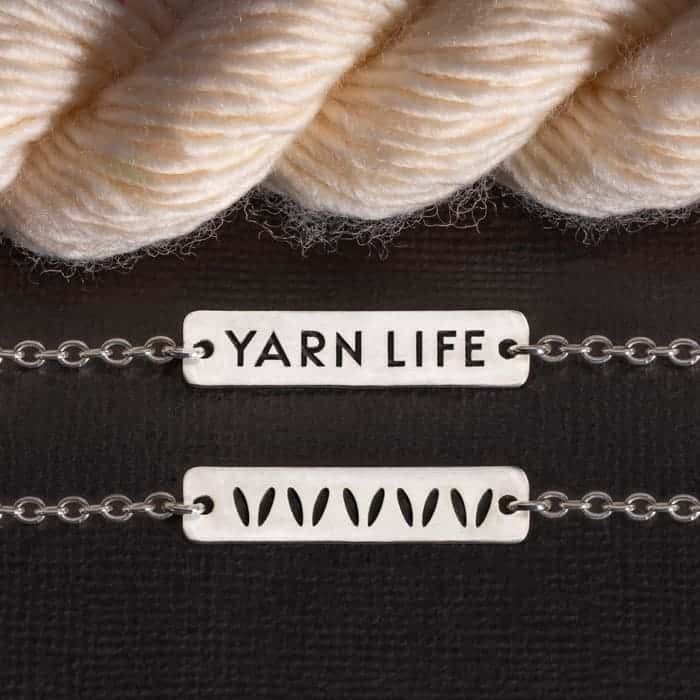 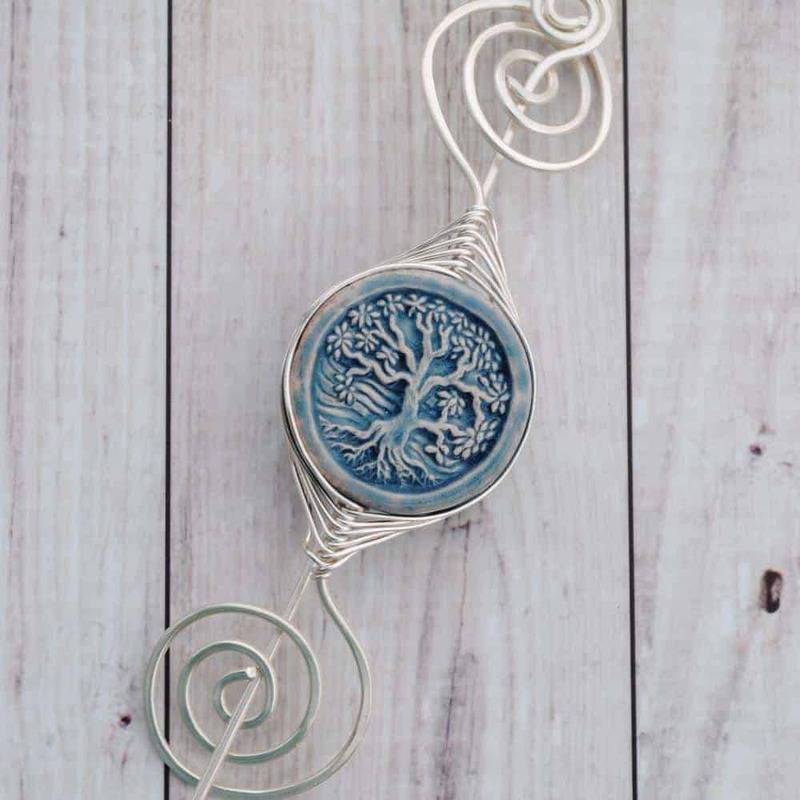 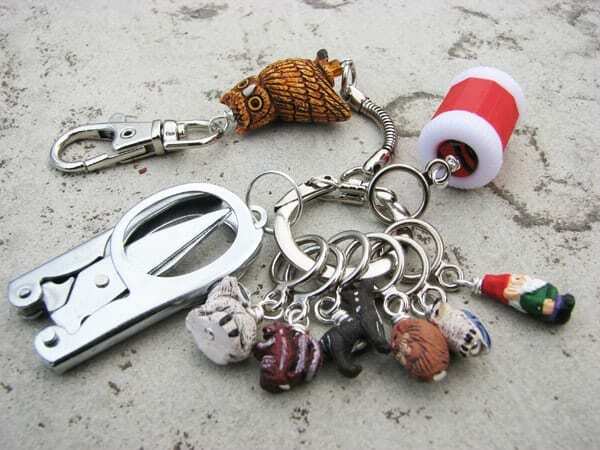 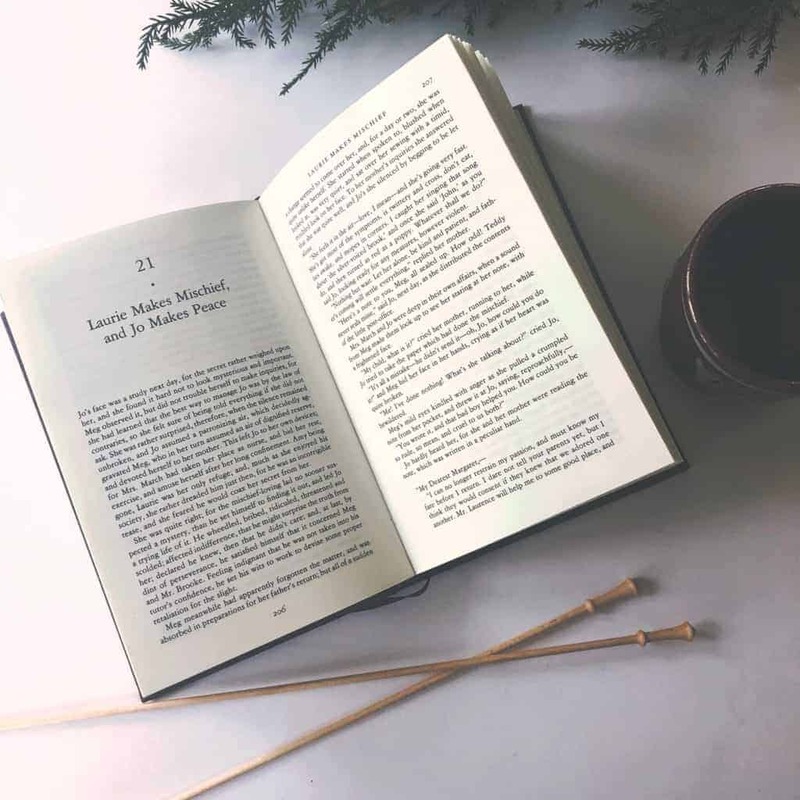 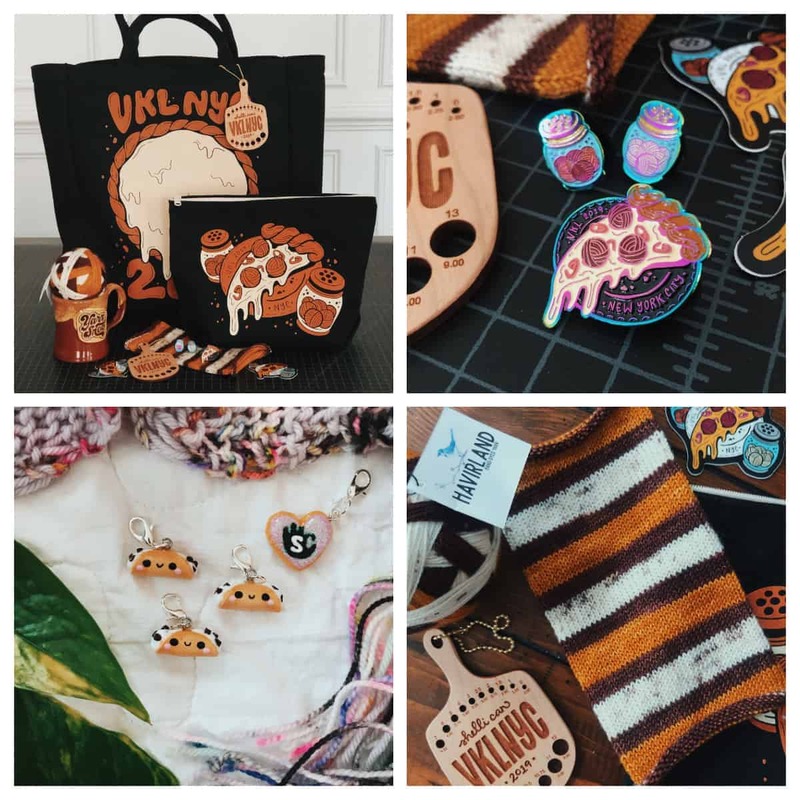 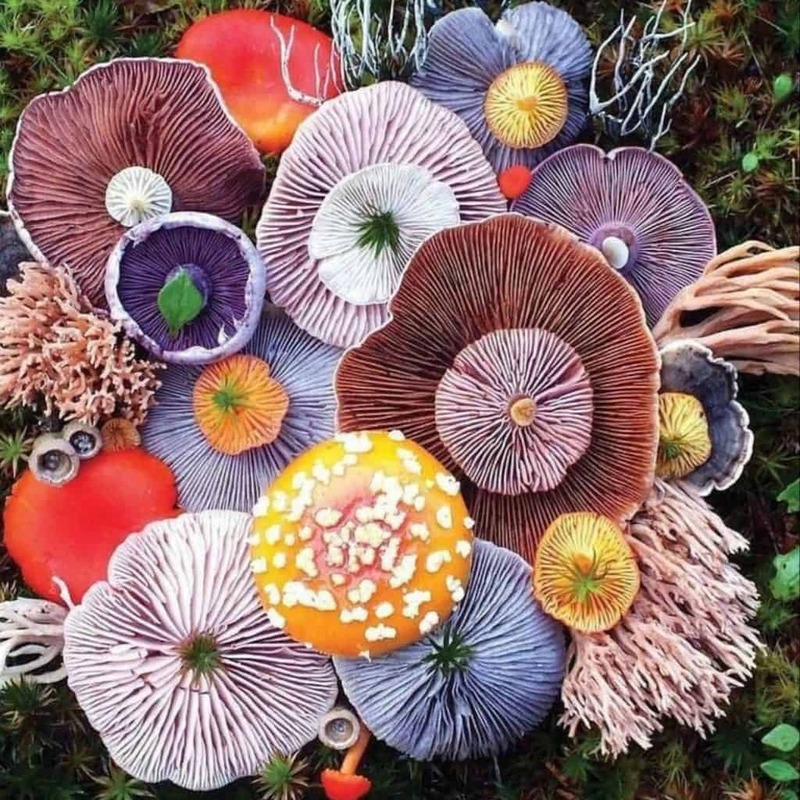 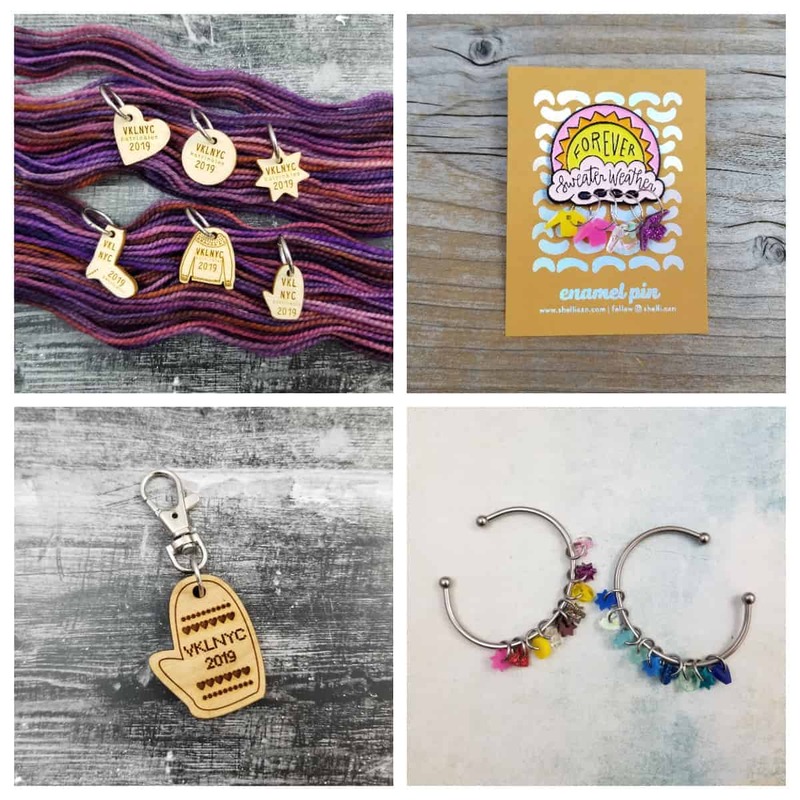 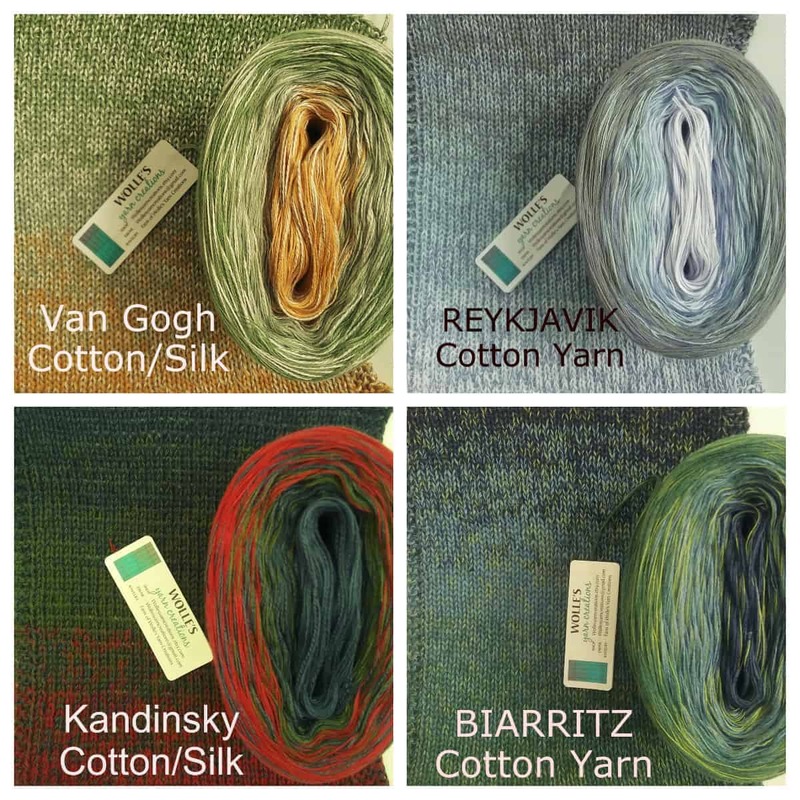 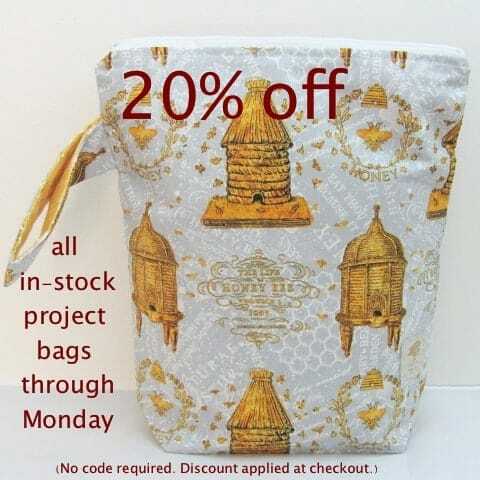 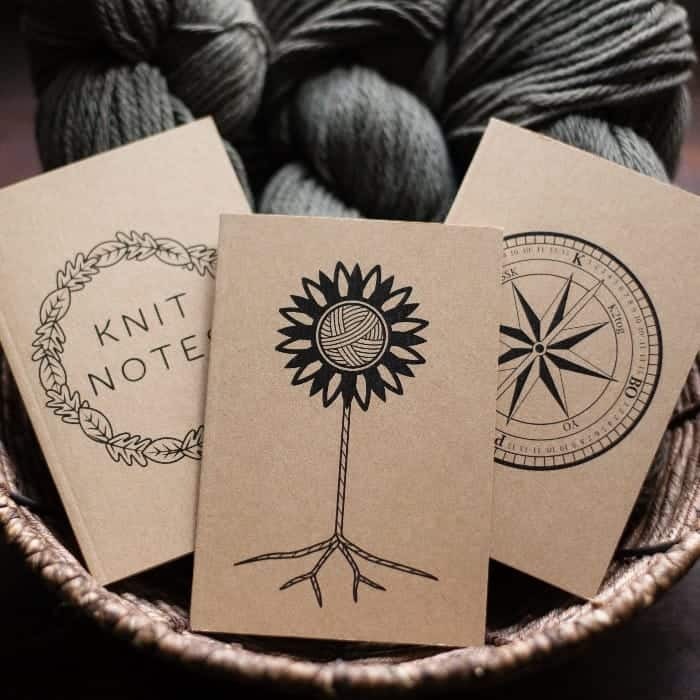 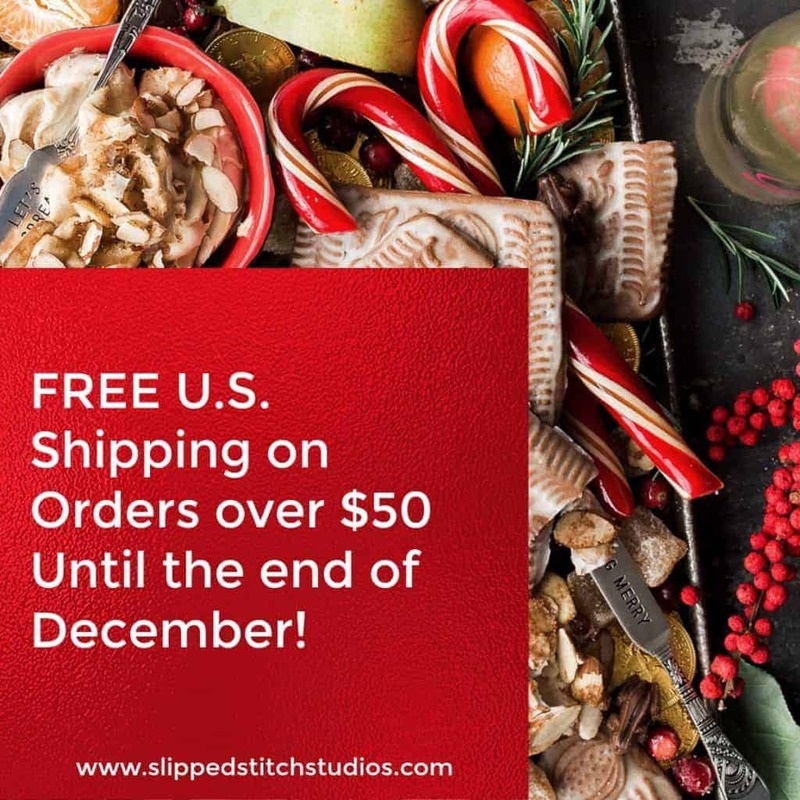 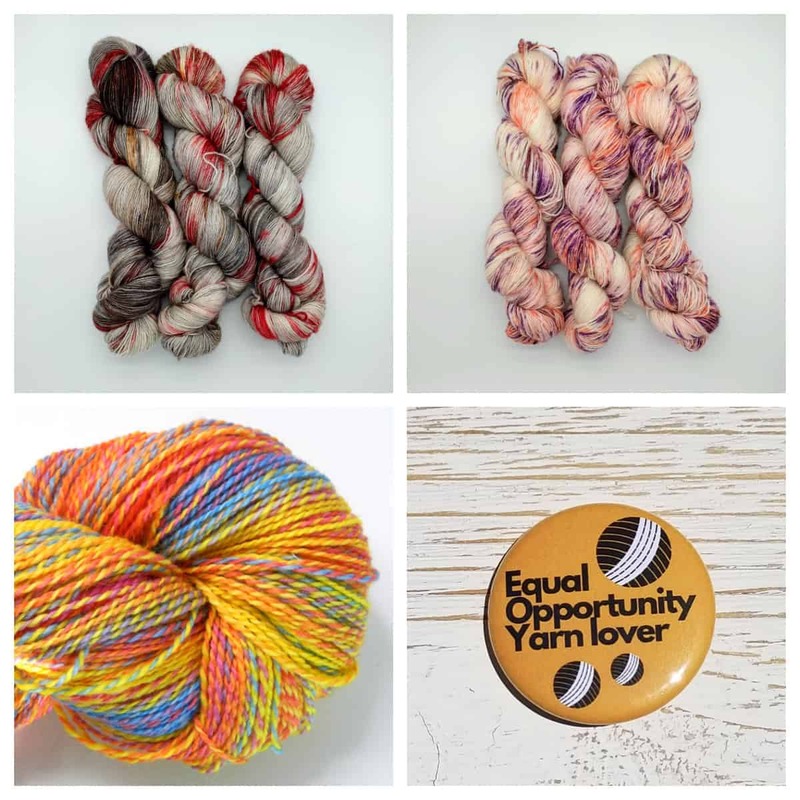 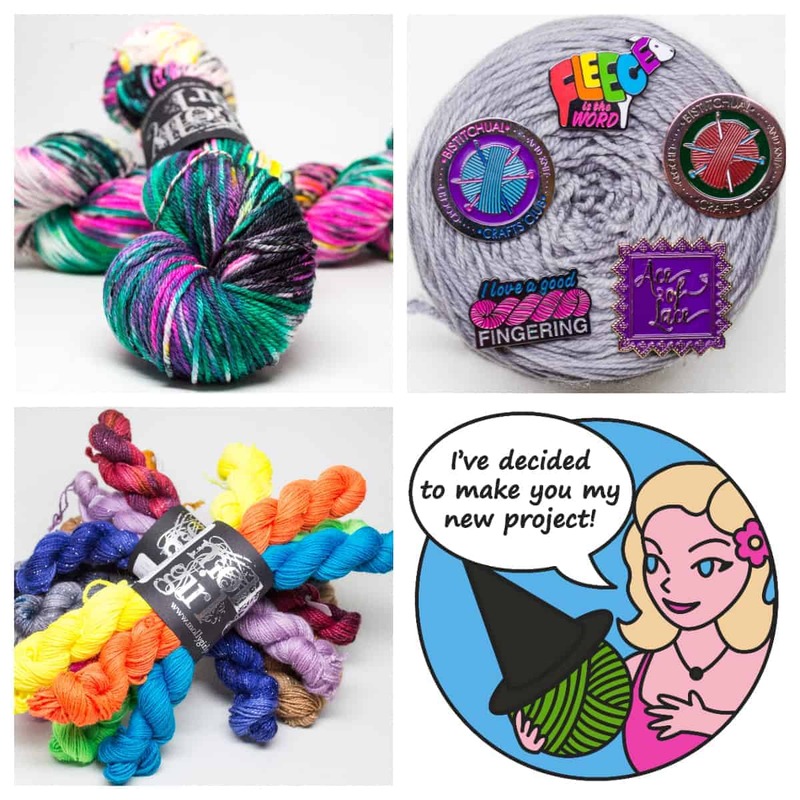 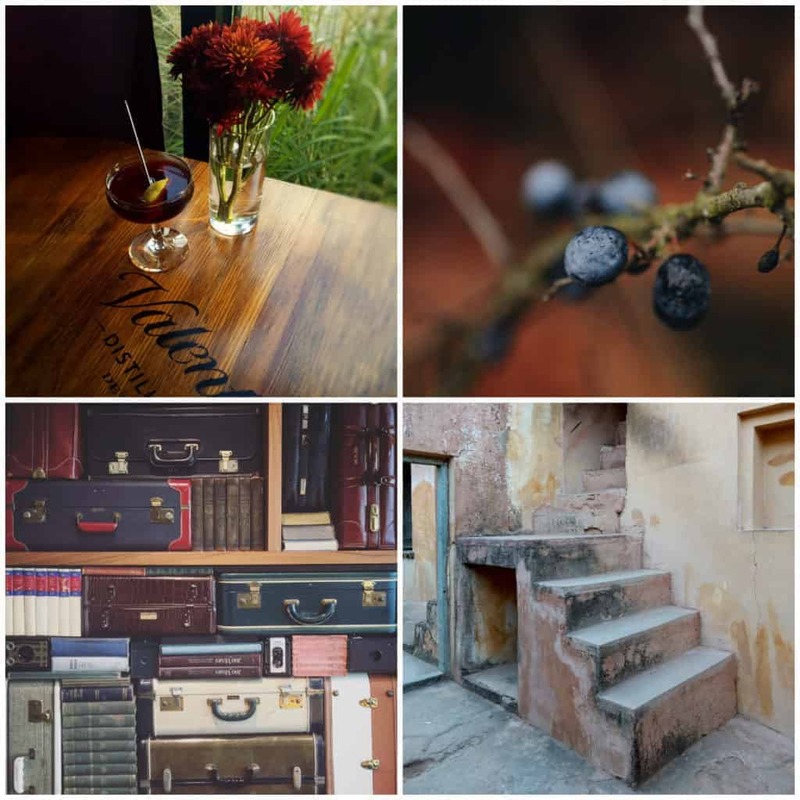 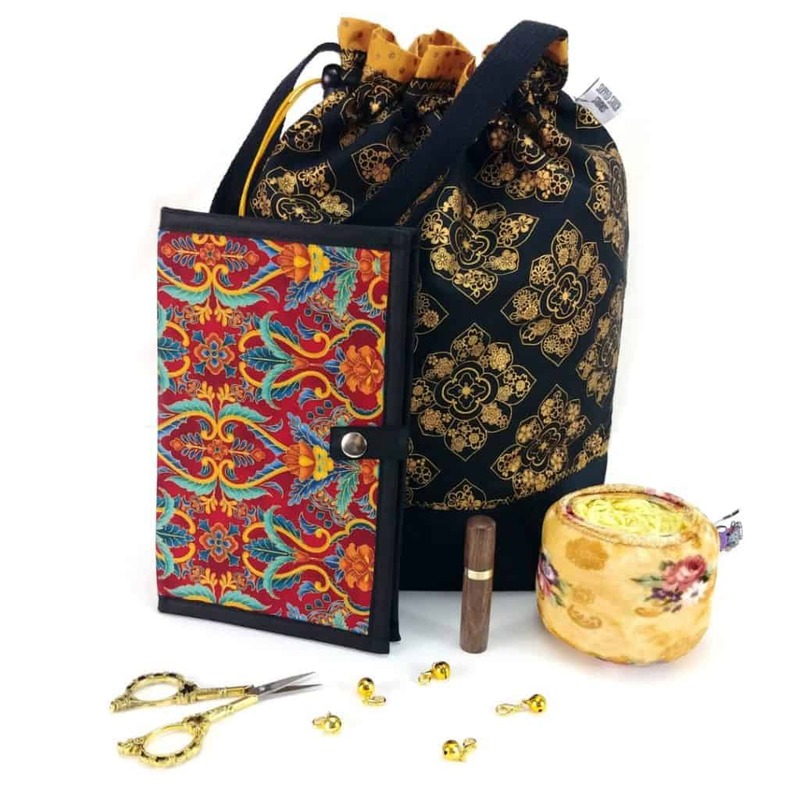 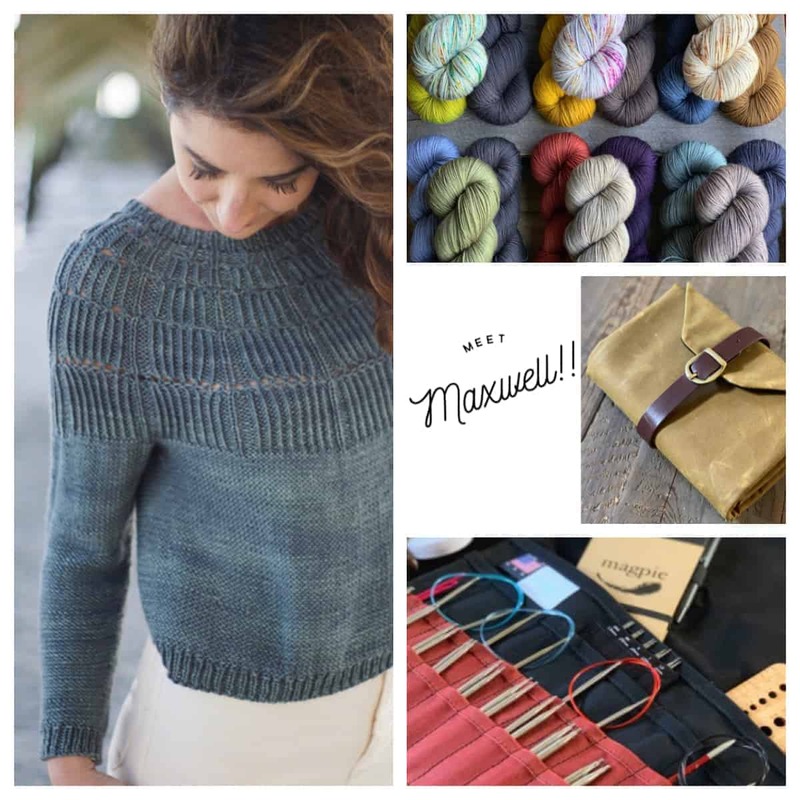 For the 2018 Newsletters to Santa and Hanukah Harry giveaway, I’ve gathered together some amazing prizes from several artisans, some who were new to the Indie Untangled community this year and others who are favorites, and doing a string of giveaways (eight plus one) starting this Monday and running through Christmas Day. 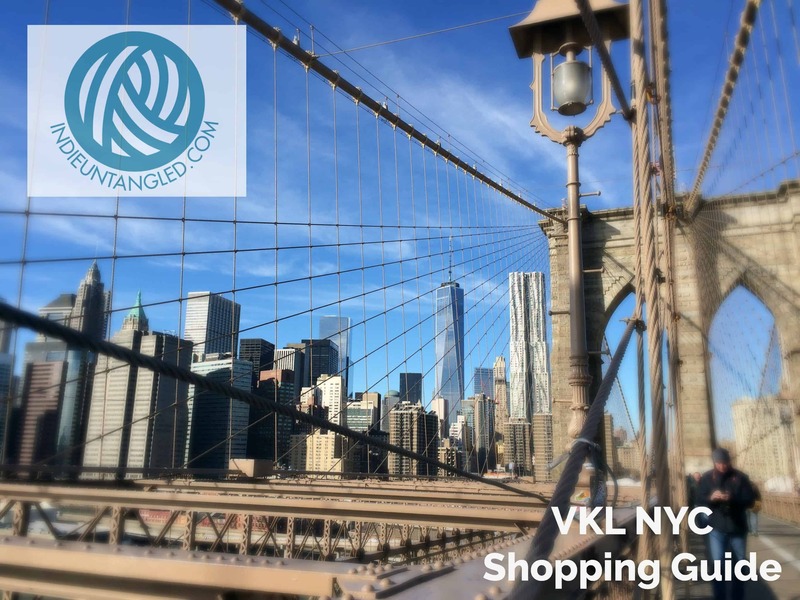 Here are the rules: Sign up for the Indie Untangled newsletter by 9 p.m. EST and you will be eligible to win that day’s prize (anyone already on the mailing list is entered to win). 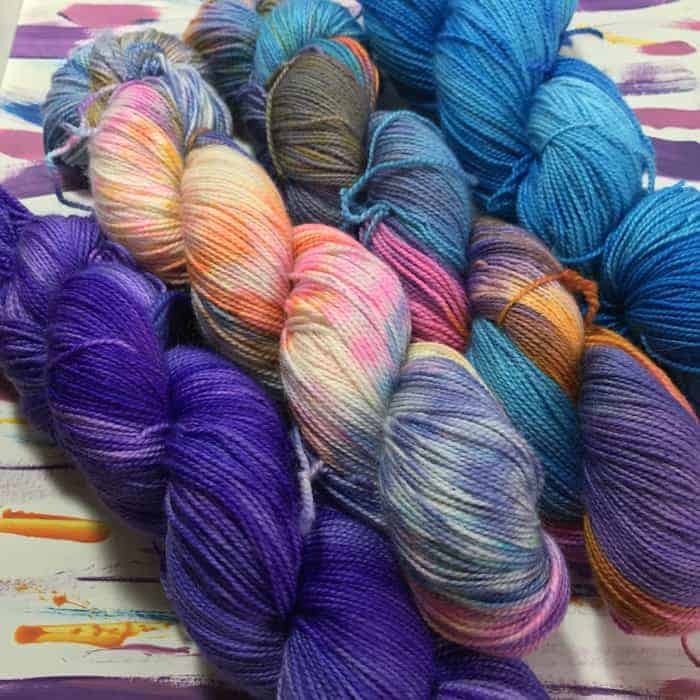 After 9 p.m., I’ll pick a winner via random number generator and send out an email. 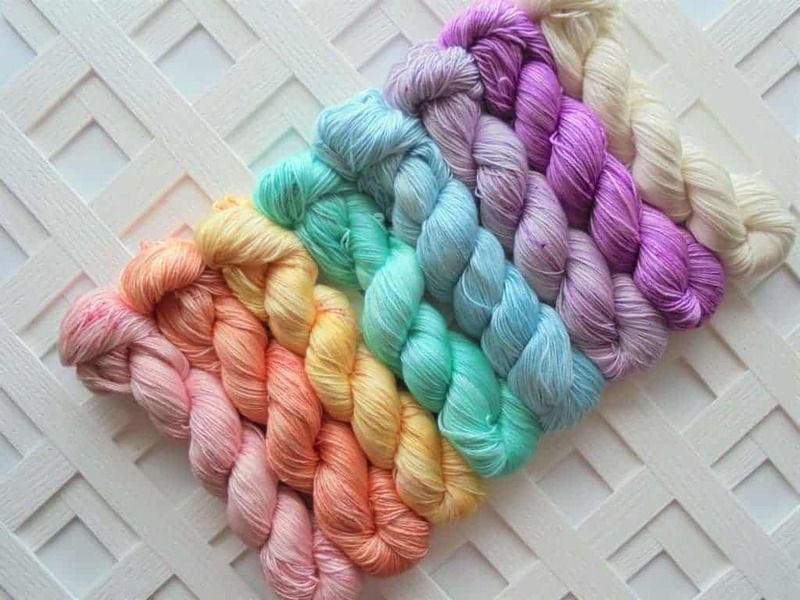 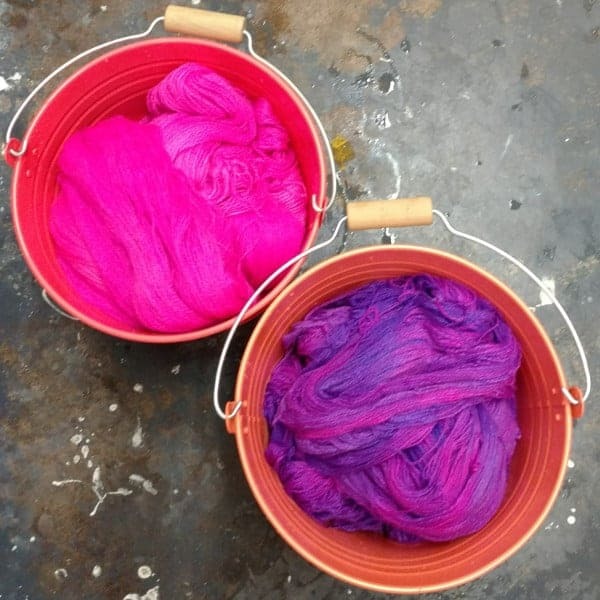 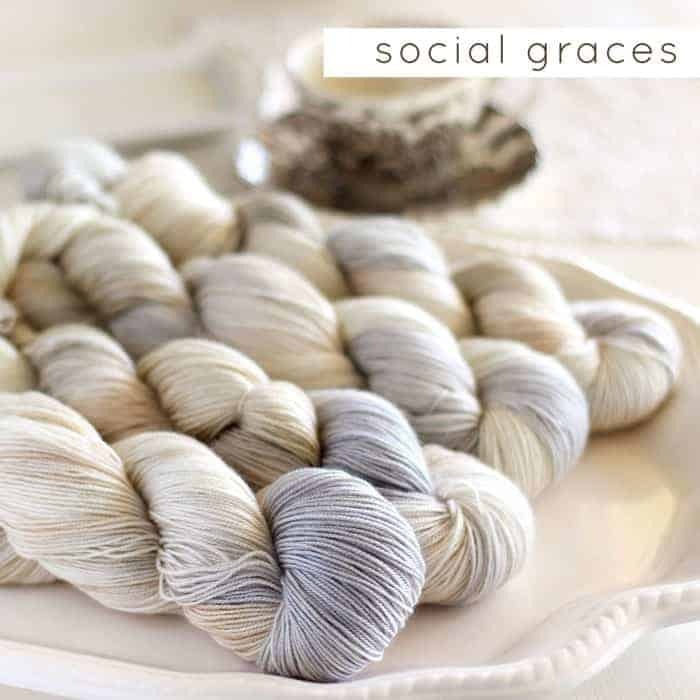 The winner will arrange shipment with the dyer/artisan. 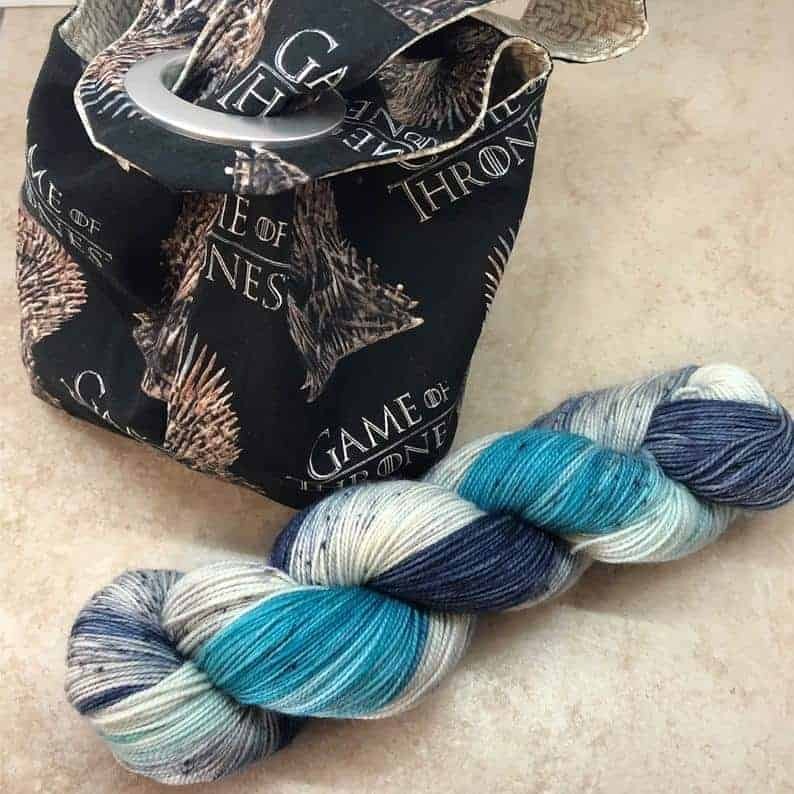 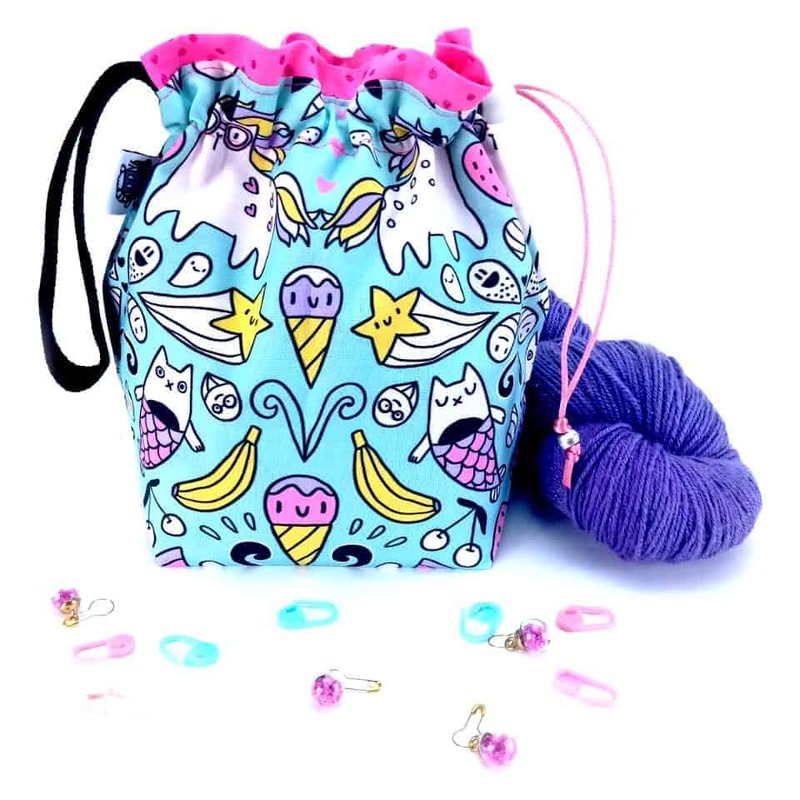 The grand prize will be a very special package of yarn and knitting stocking stuffers that I will ship out to the winner. 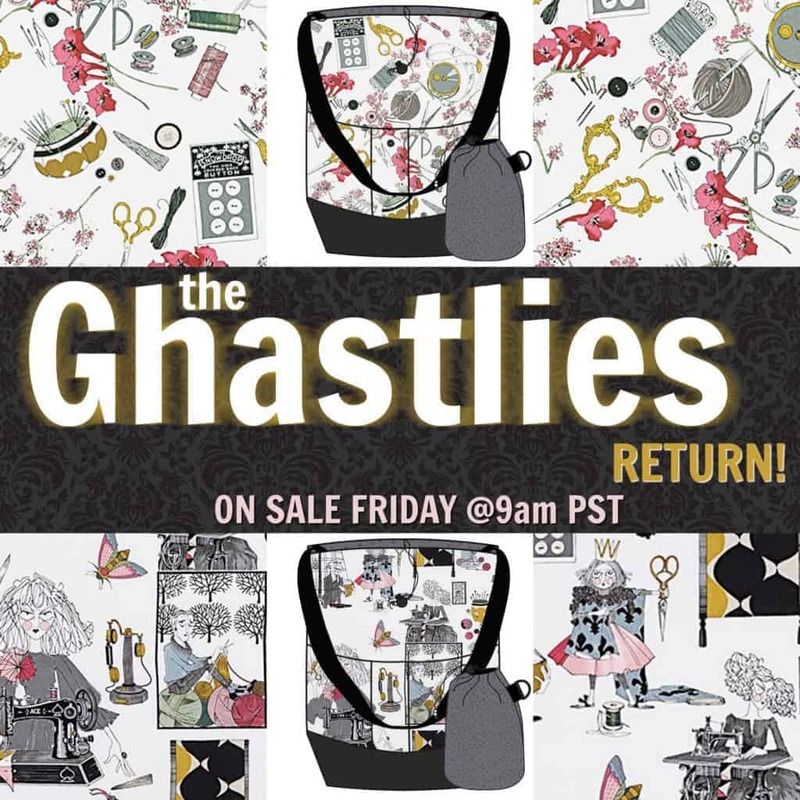 PLEASE NOTE: Winners must respond within 48 hours of when the notification email is sent to claim the prize. 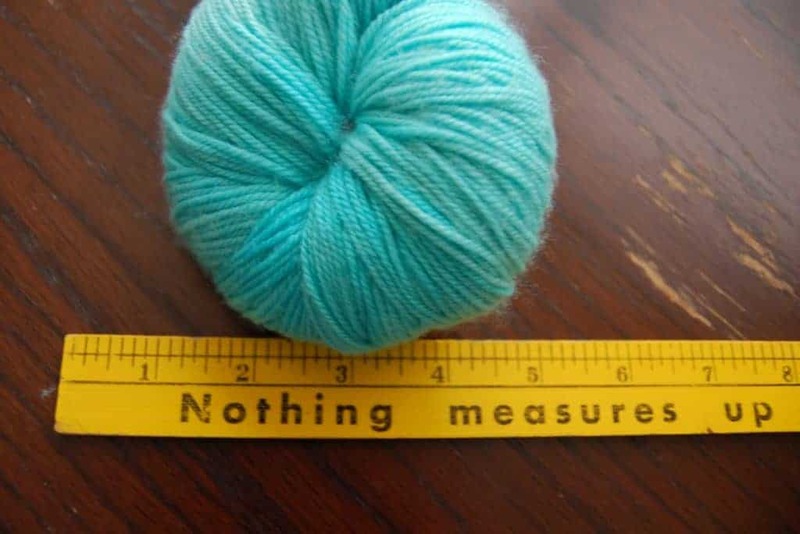 If not, another winner will be selected. 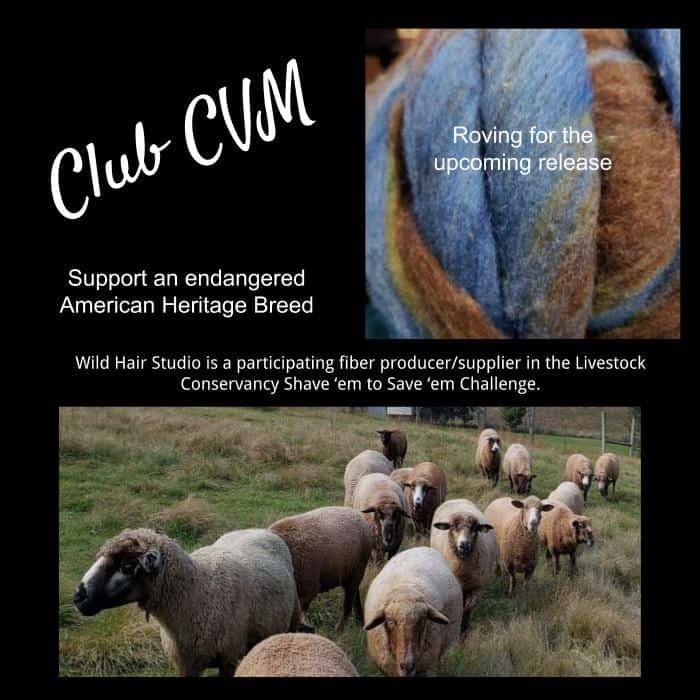 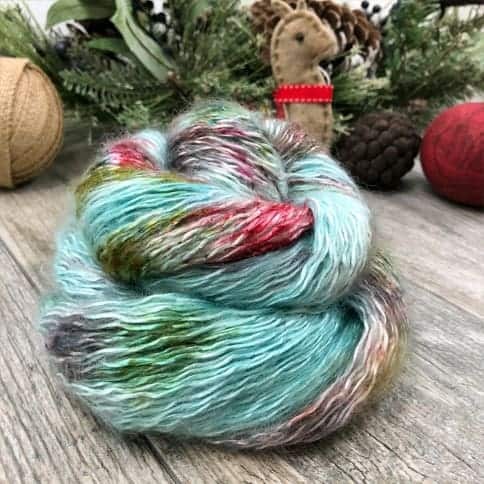 December 17: A skein of the winner’s choice from McMullin Fiber Co.
December 23: The winner helps hellomello handspun create a custom color. 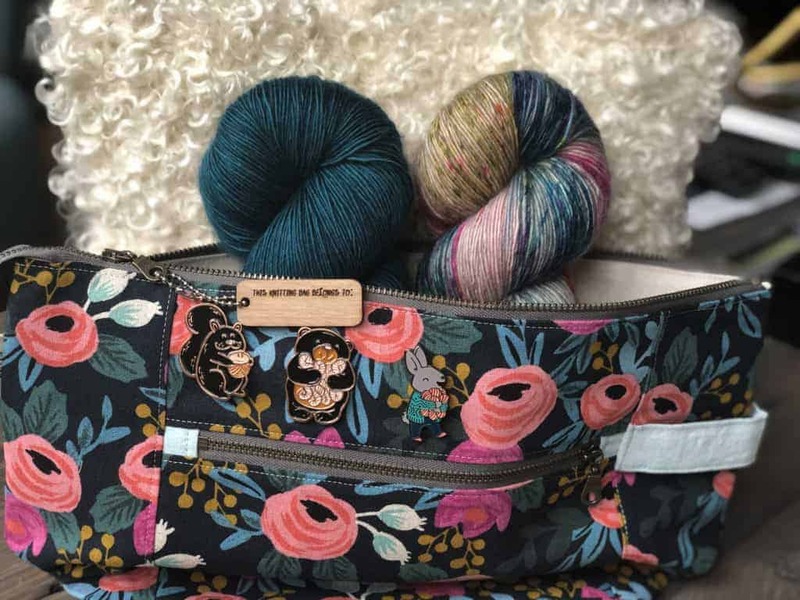 December 25: A project bag from Woodsy and Wild, yarn from Magpie Fibers, pins from Shelli Can, project bag tags from Katrinkles and a Stash Rabbit pin from Indie Untangled. 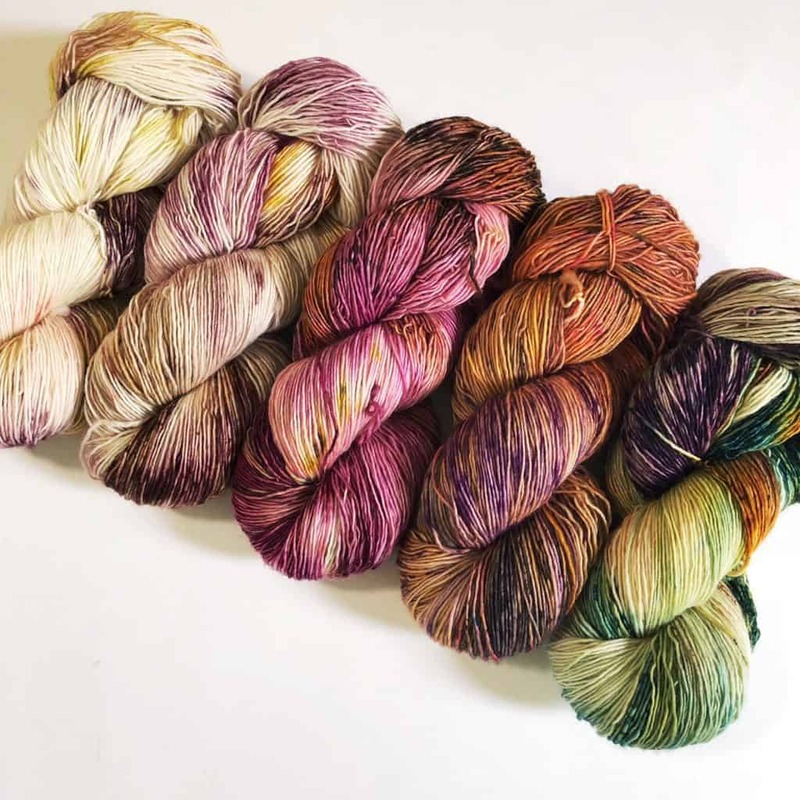 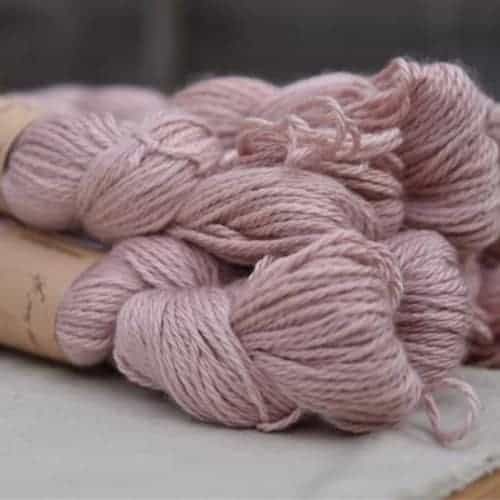 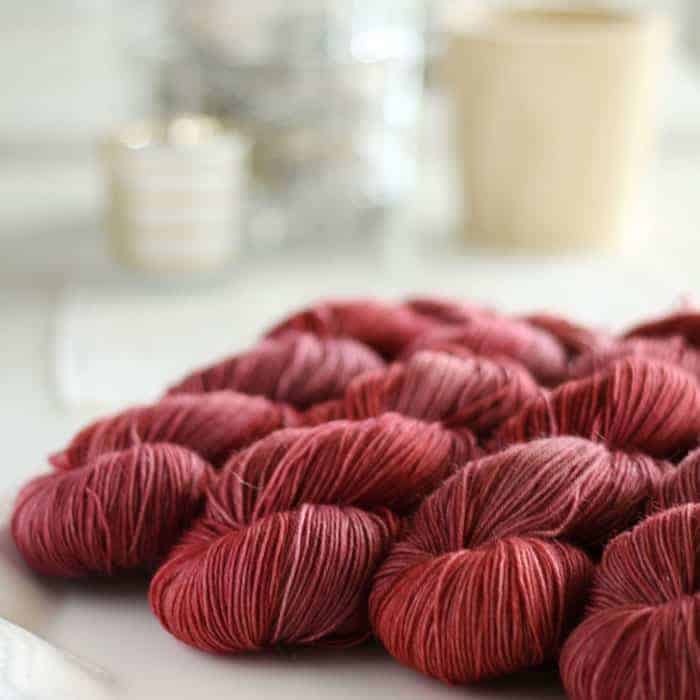 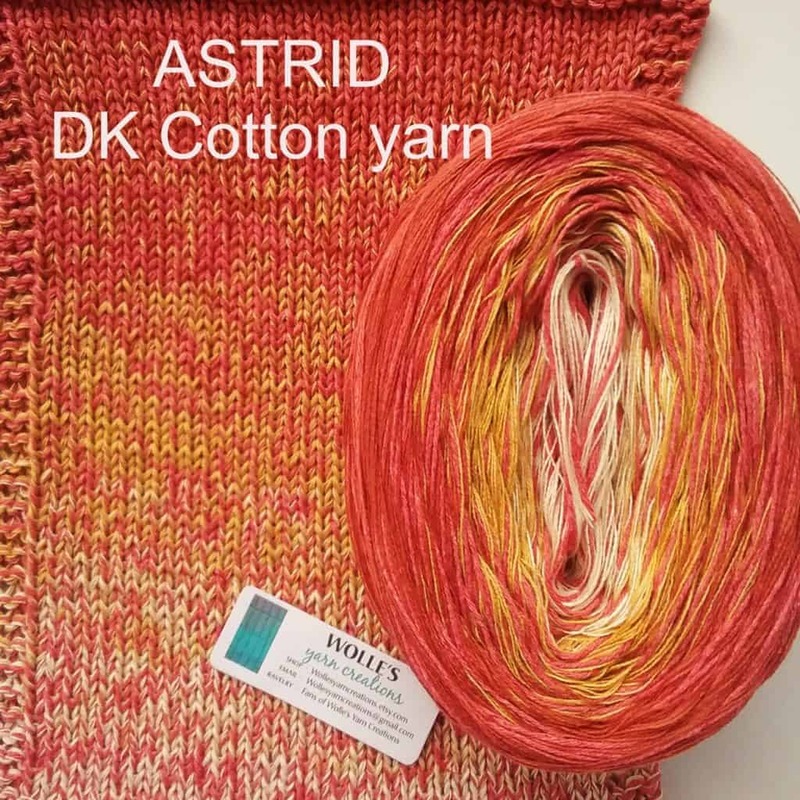 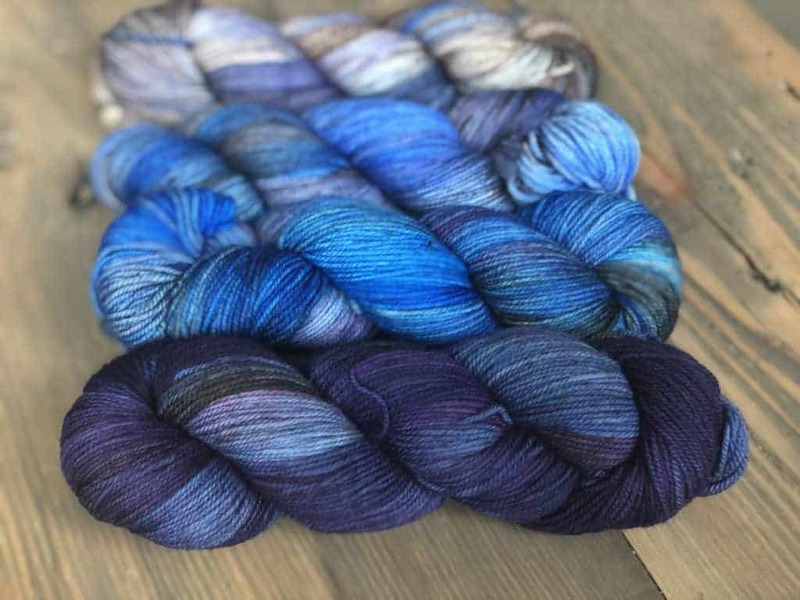 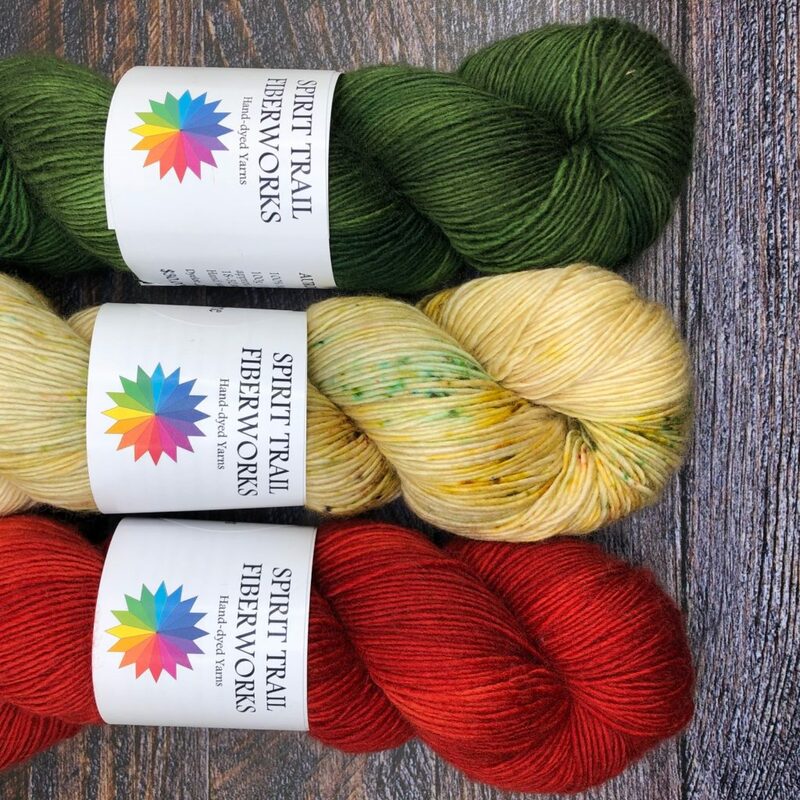 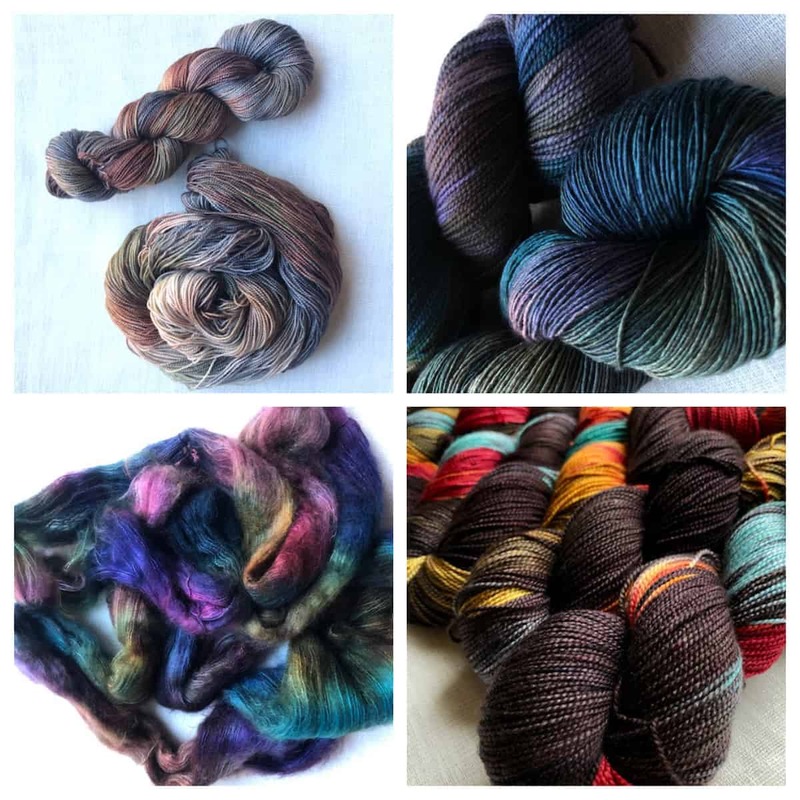 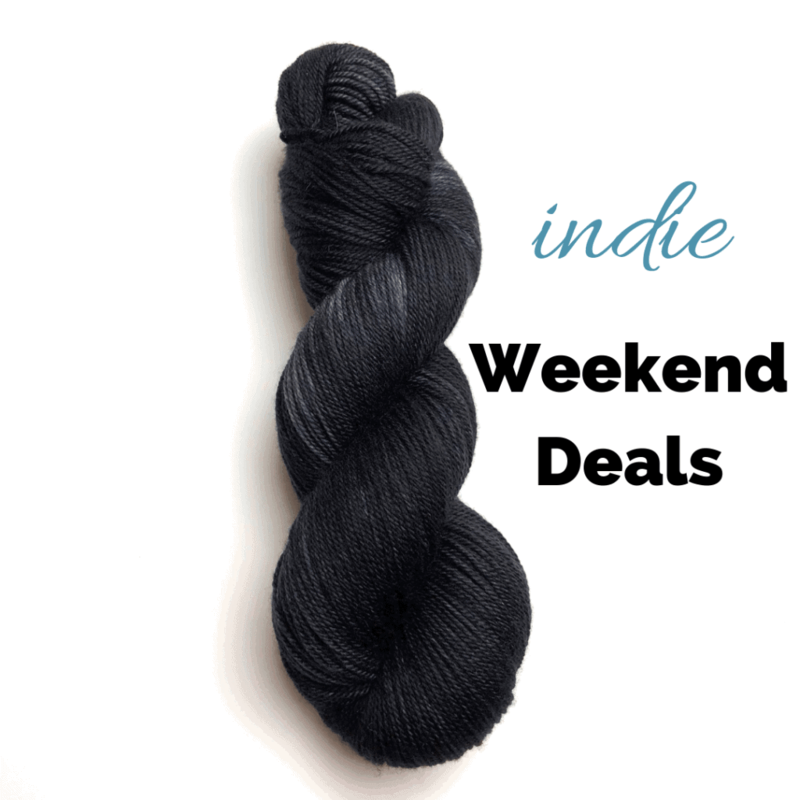 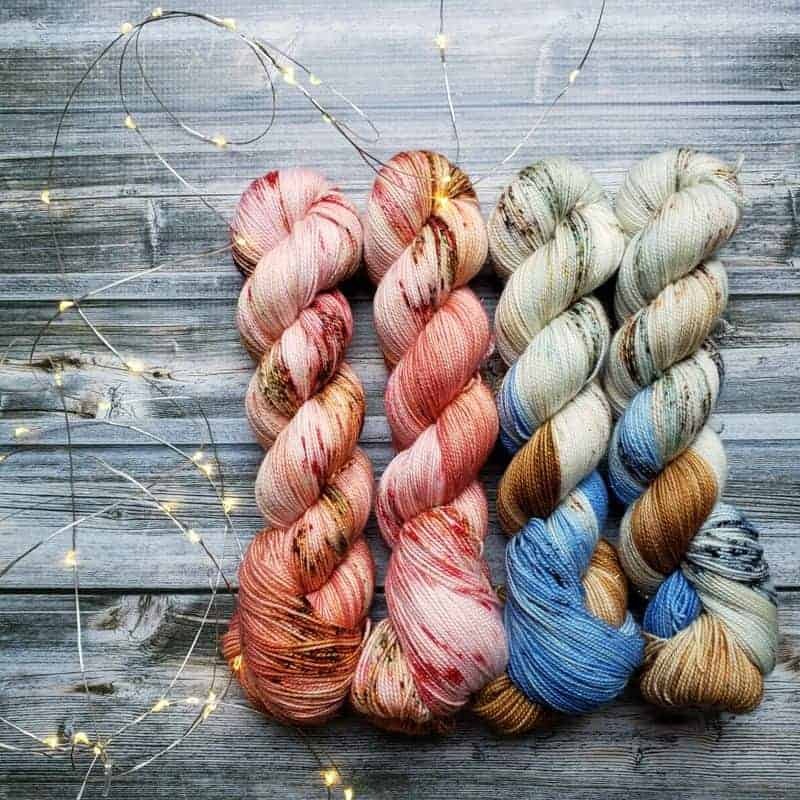 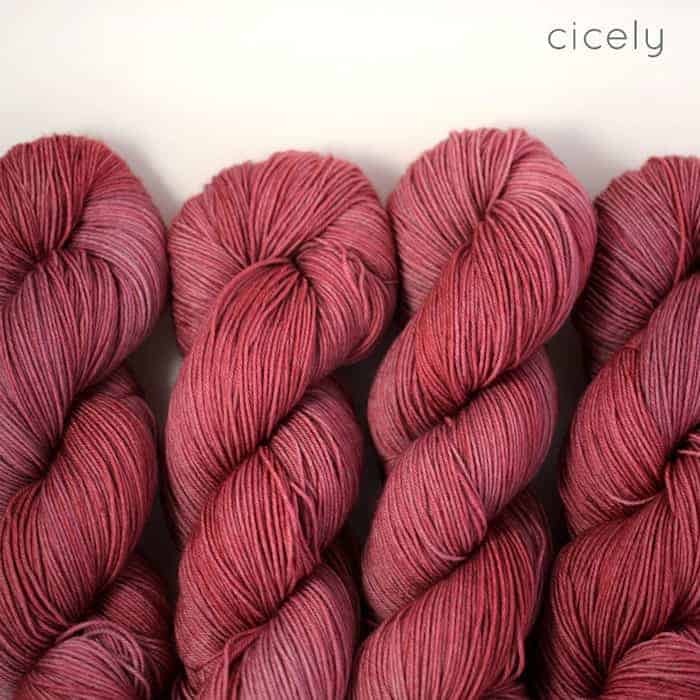 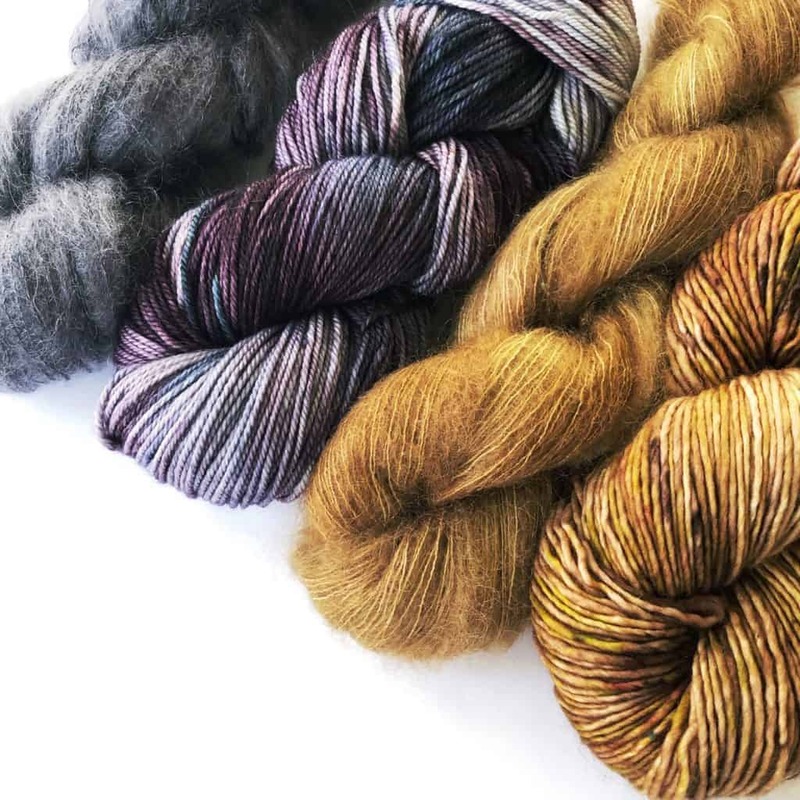 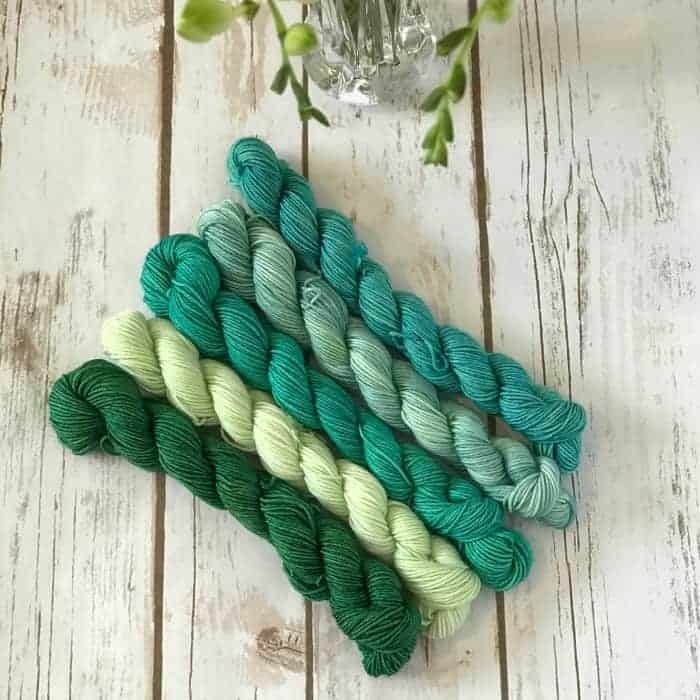 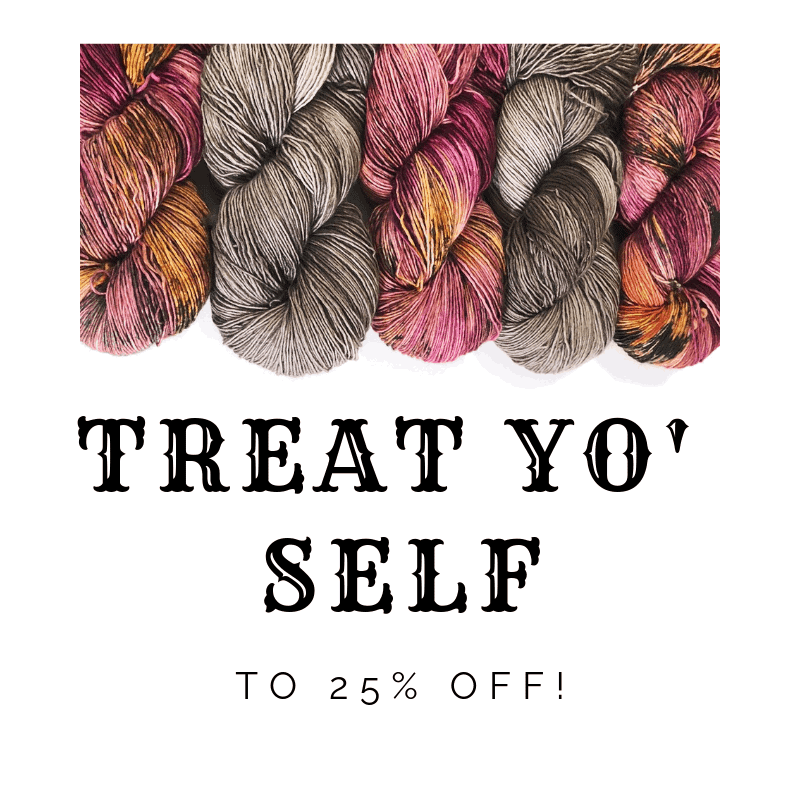 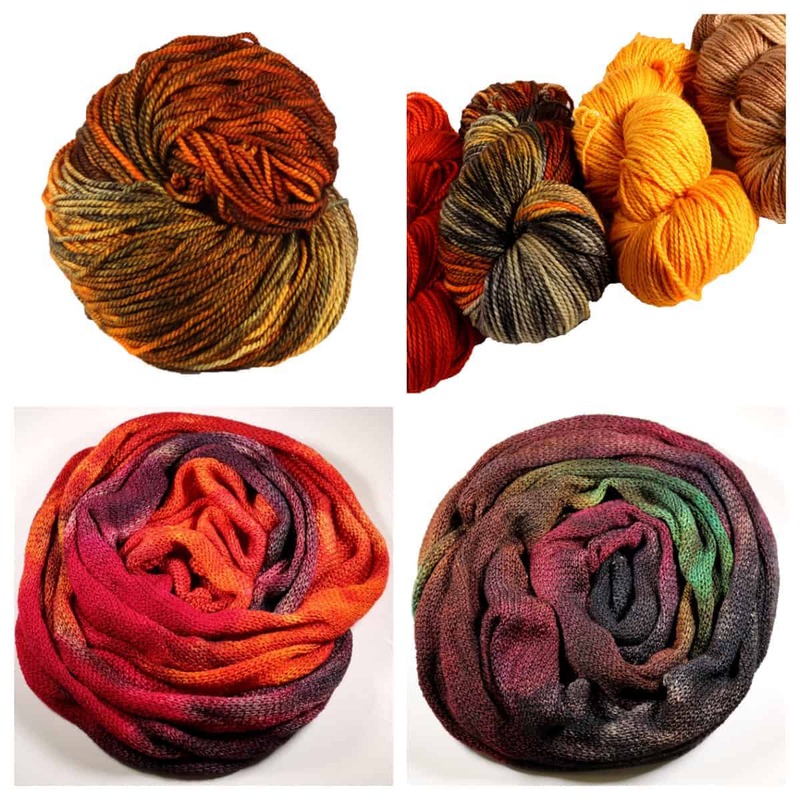 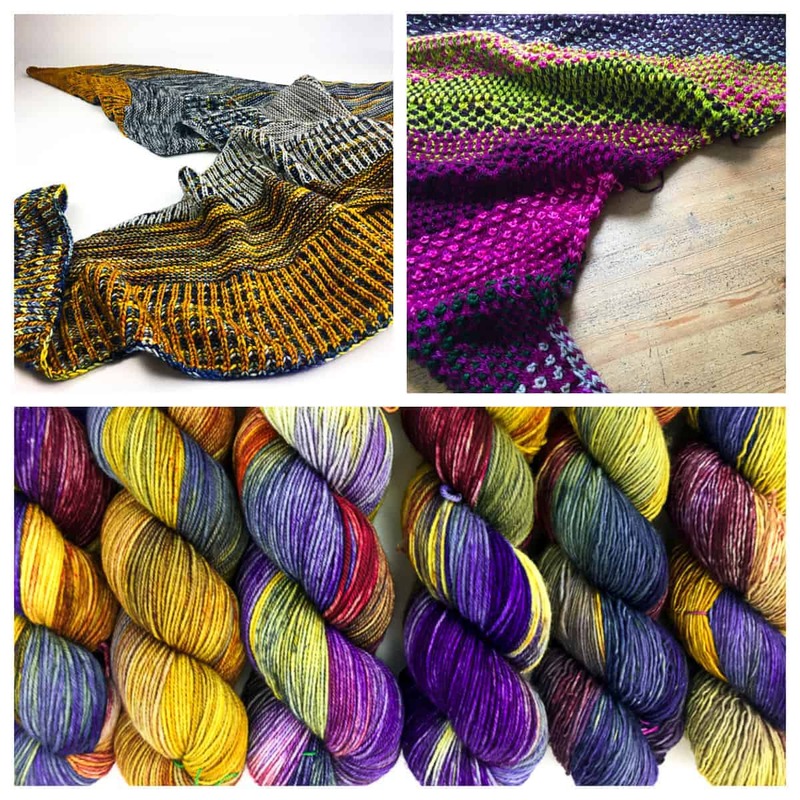 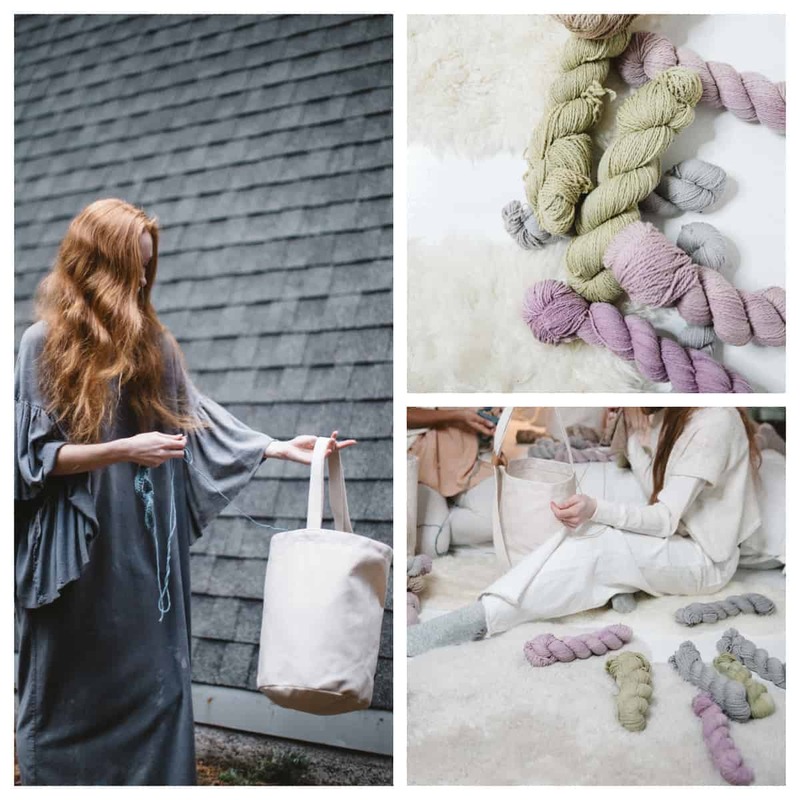 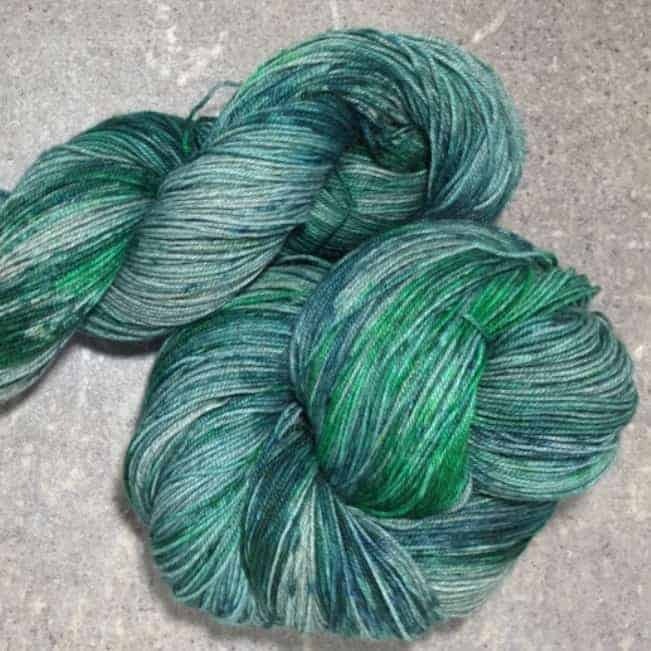 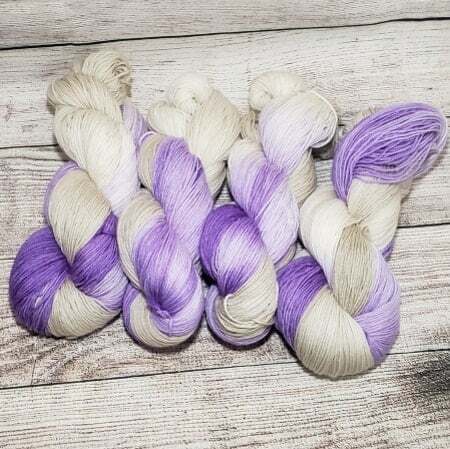 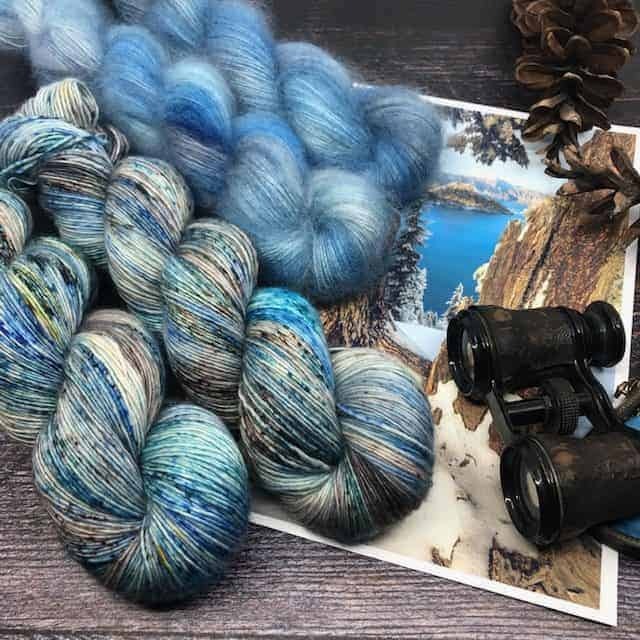 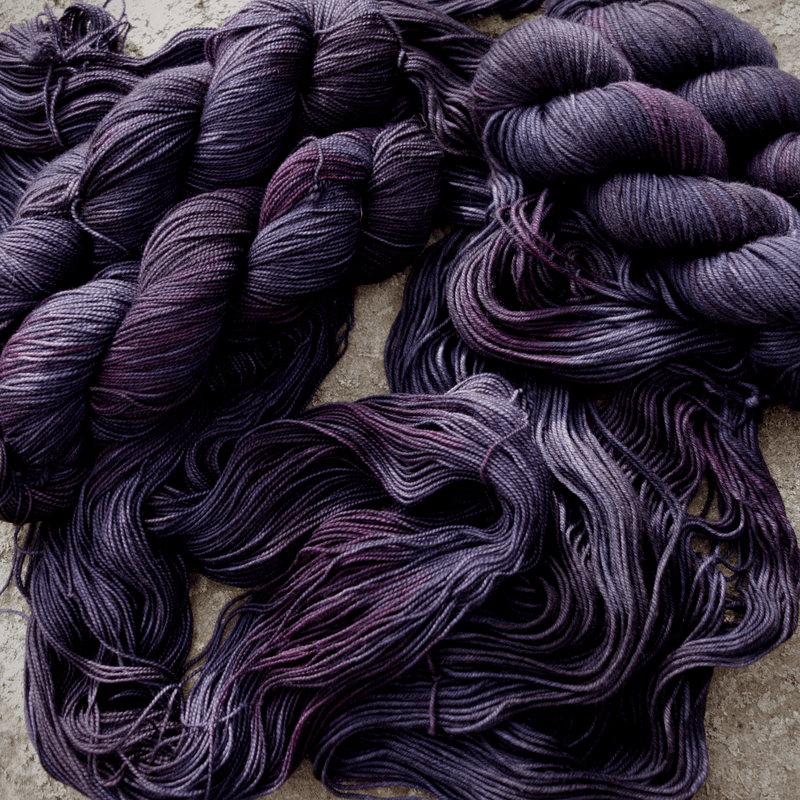 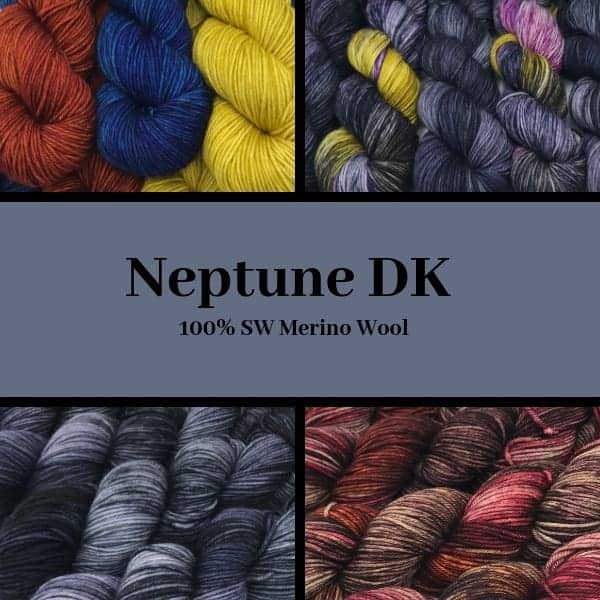 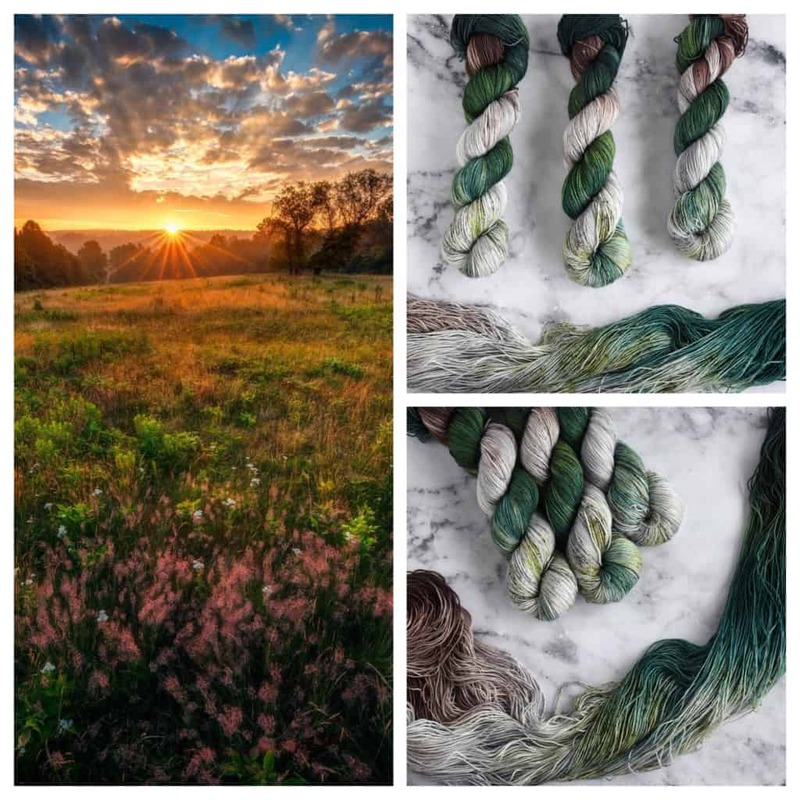 One other winner will also receive a set of four OOAK skeins of DK-weight Selene from Spirit Trail Fiberworks and swag from this year’s Indie Untangled Rhinebeck Trunk Show. 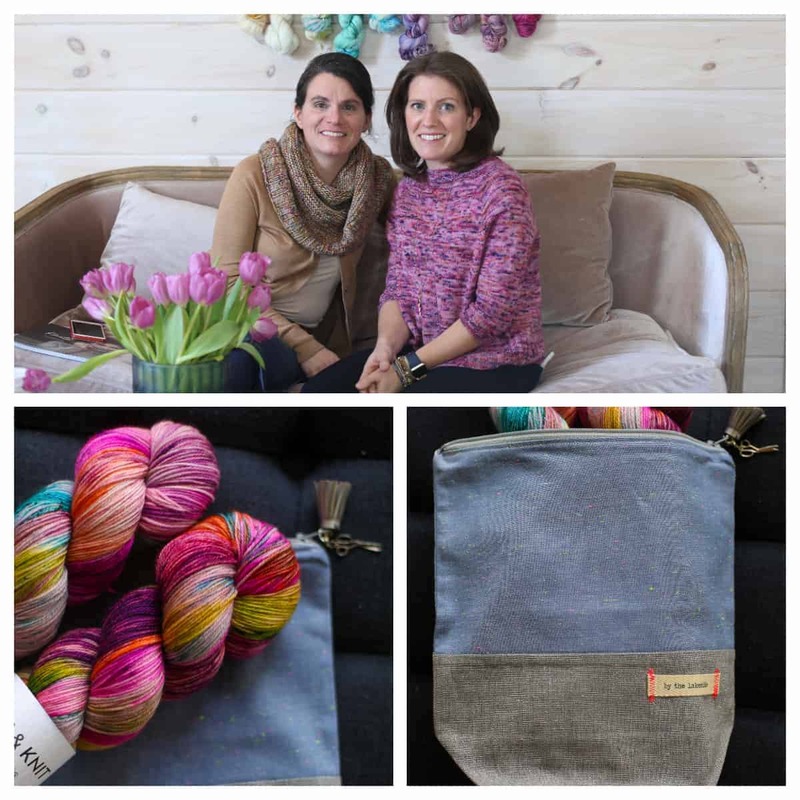 Congrats to winners Jody and Patricia!